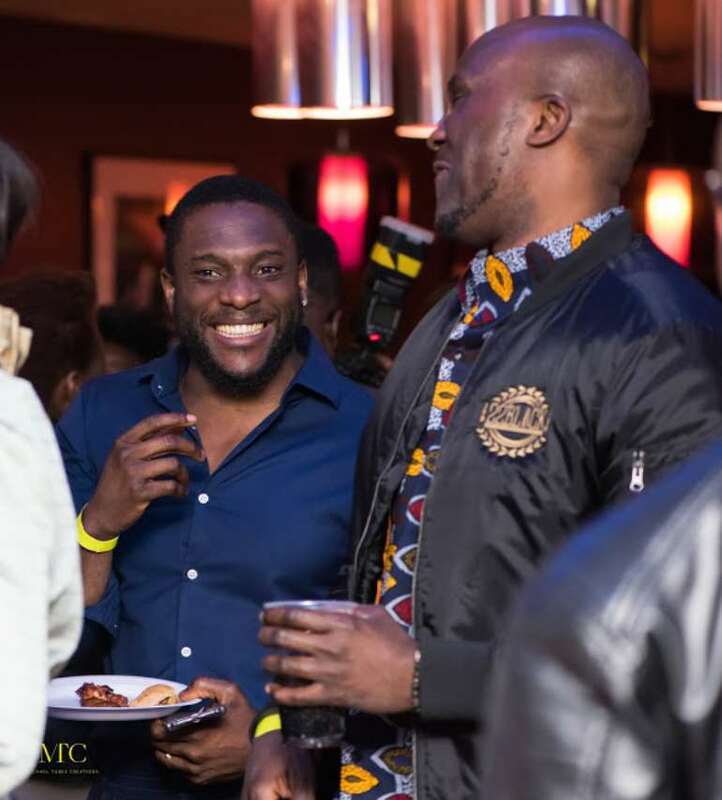 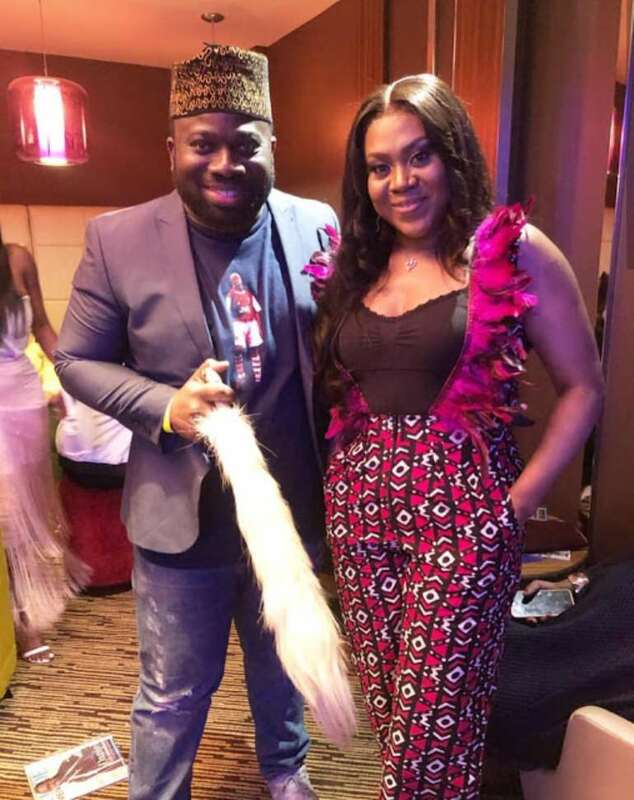 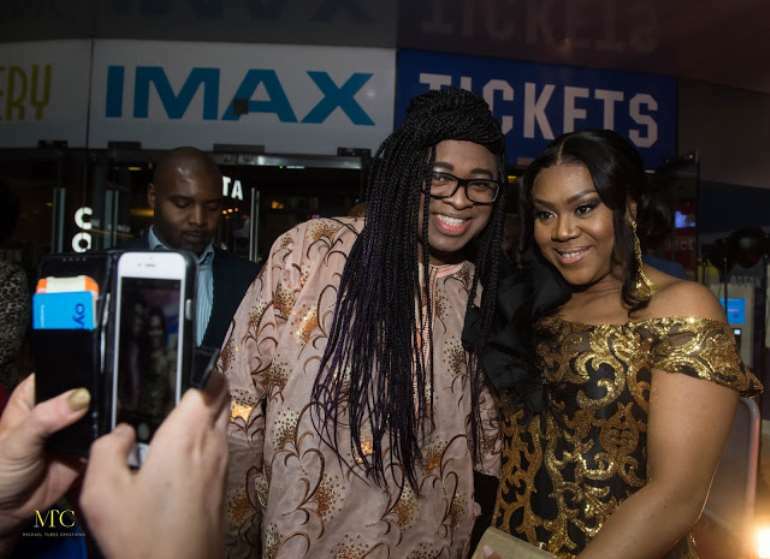 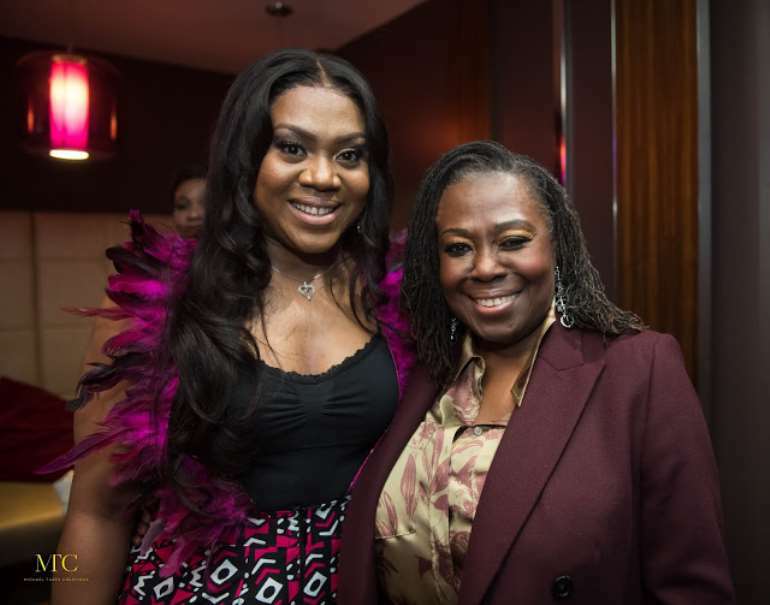 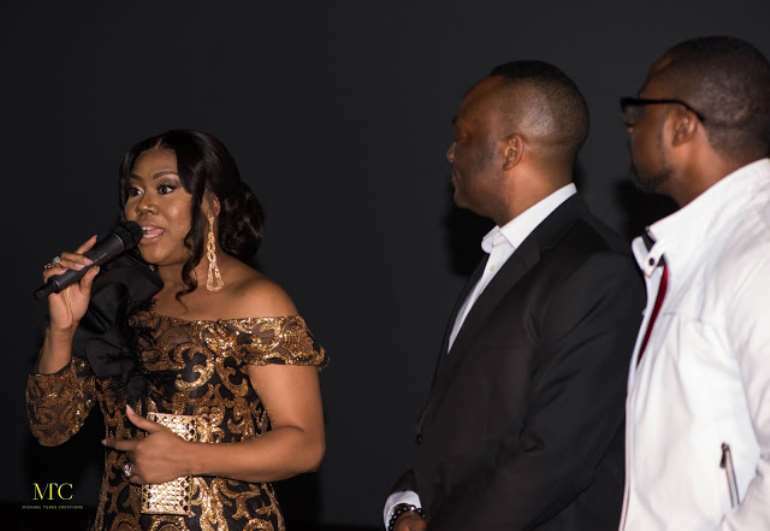 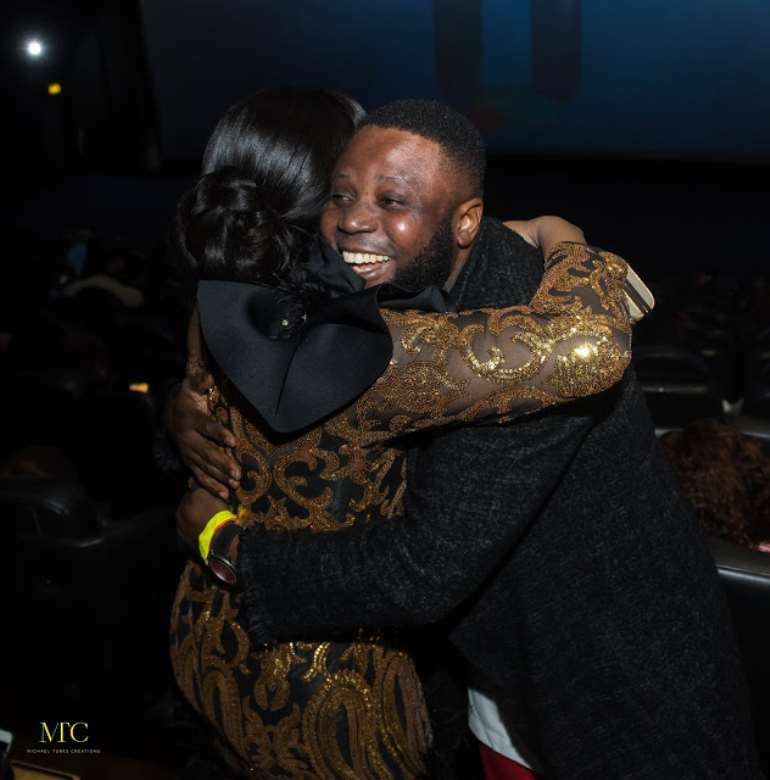 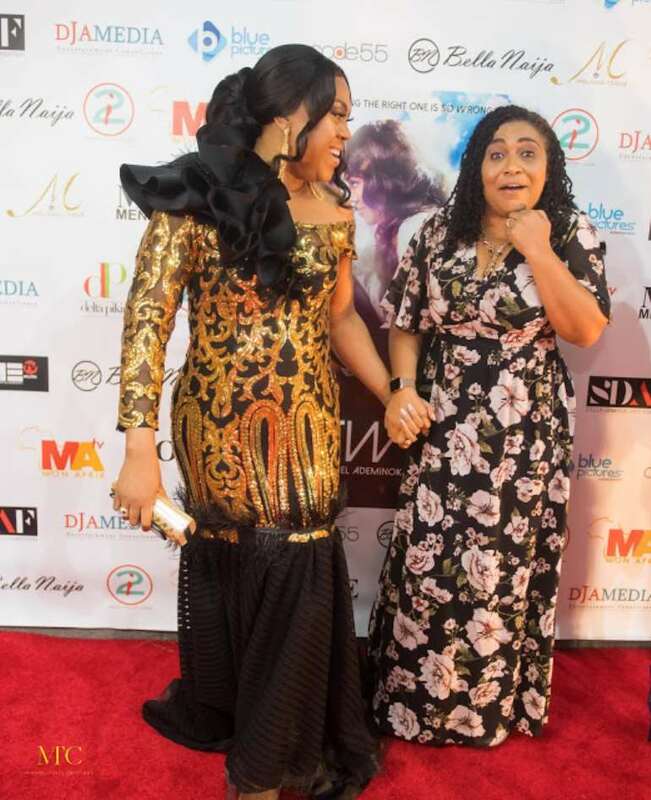 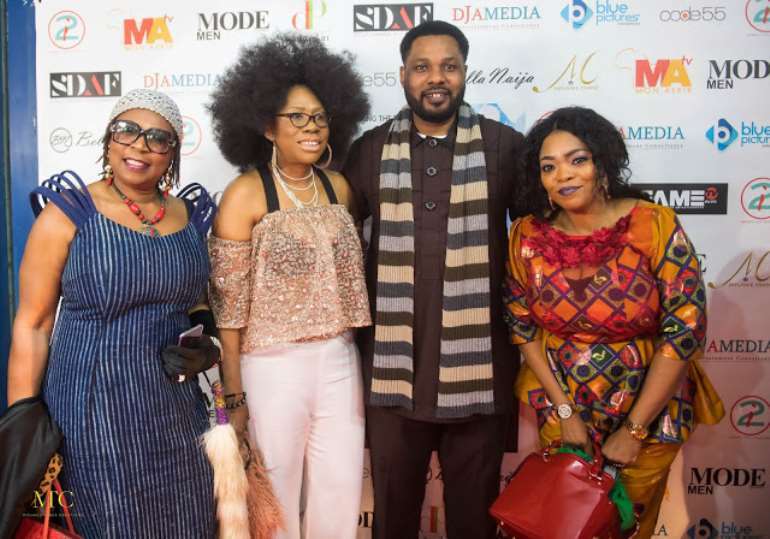 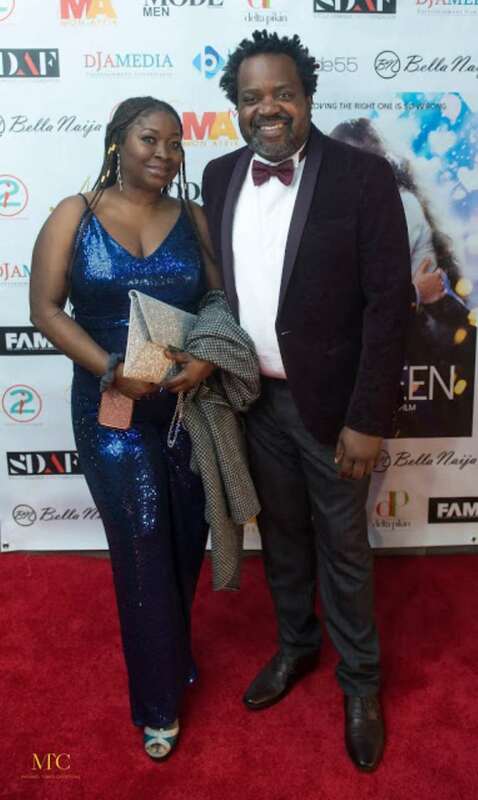 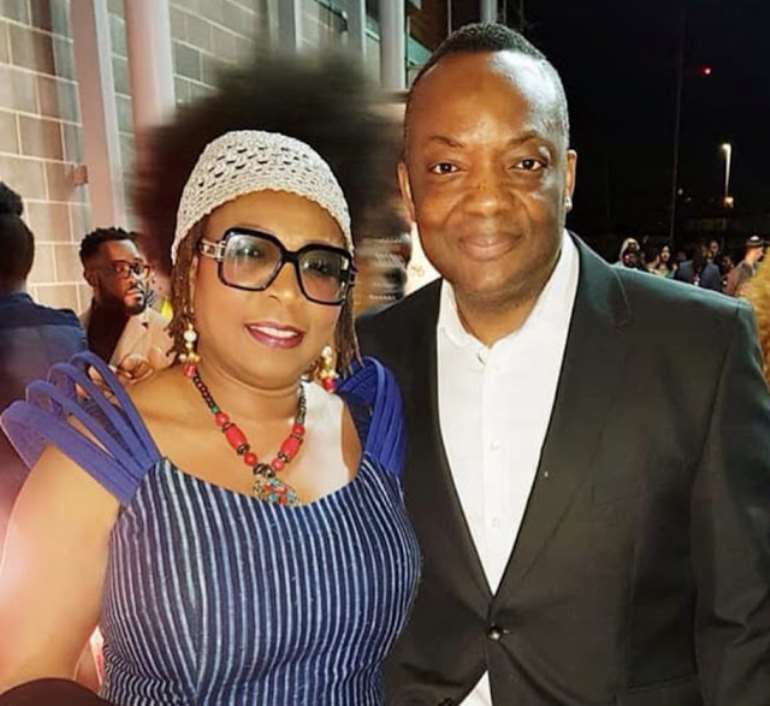 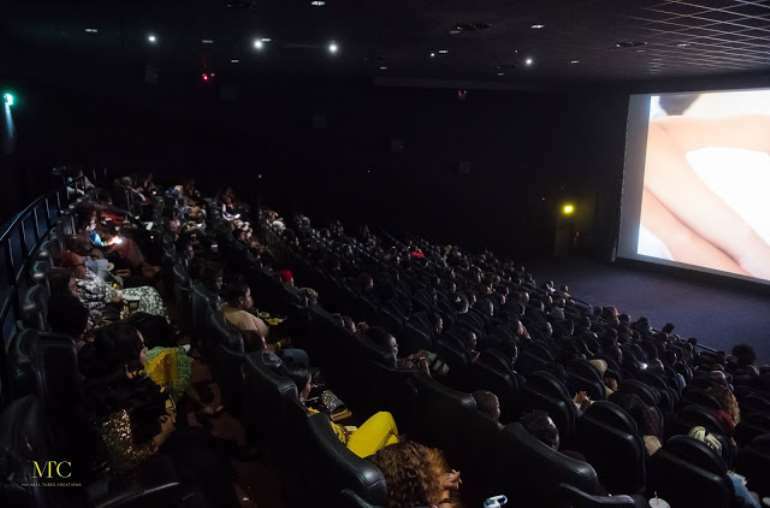 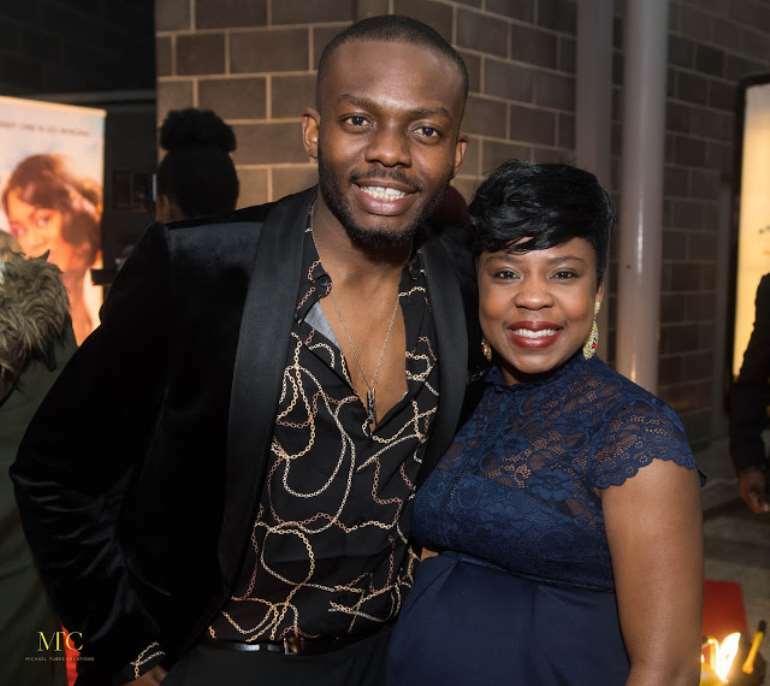 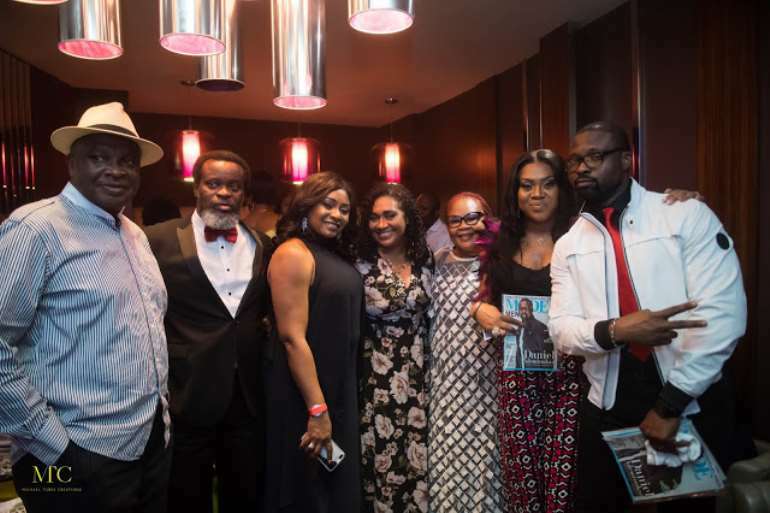 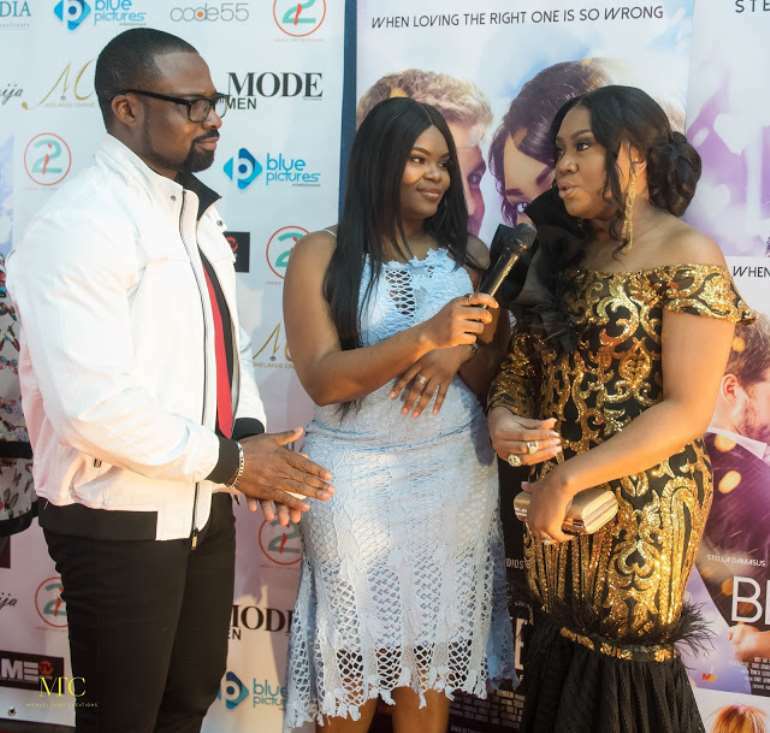 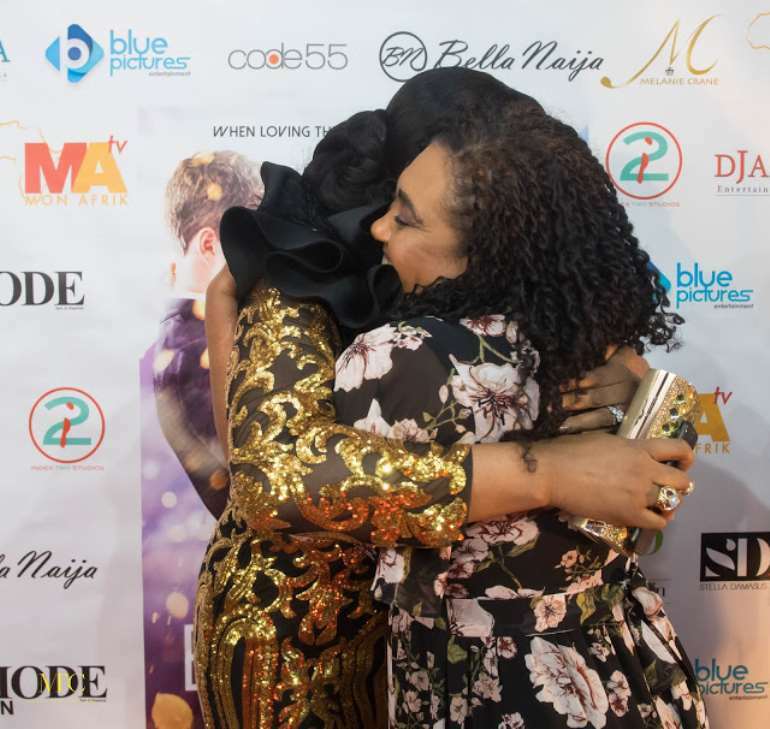 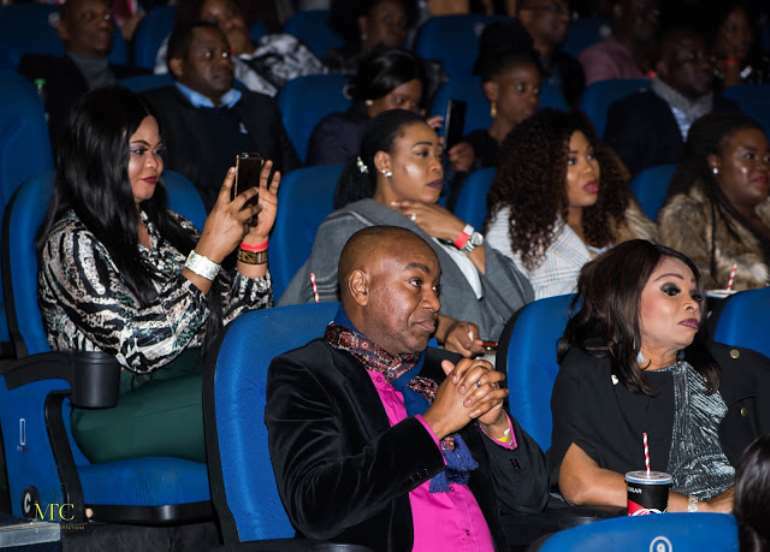 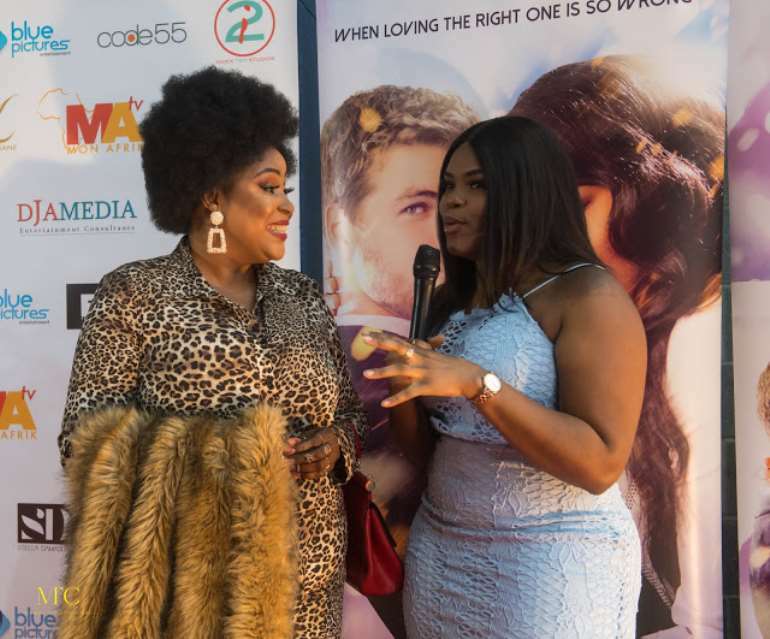 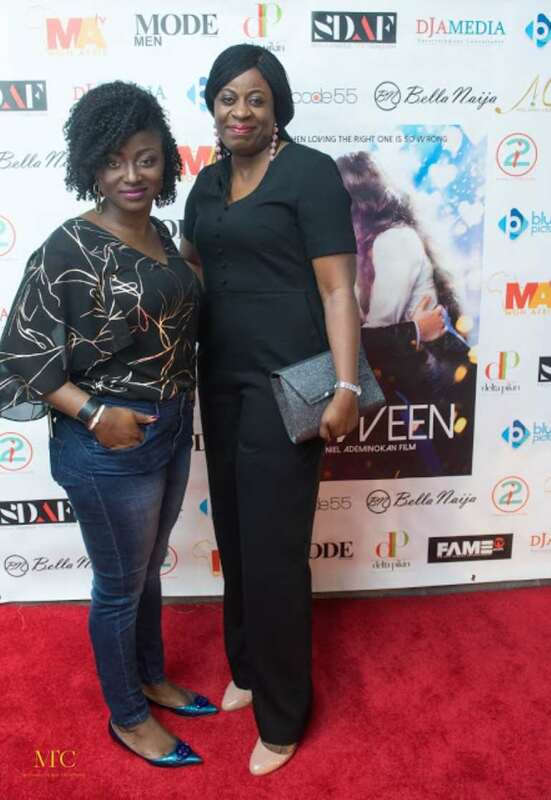 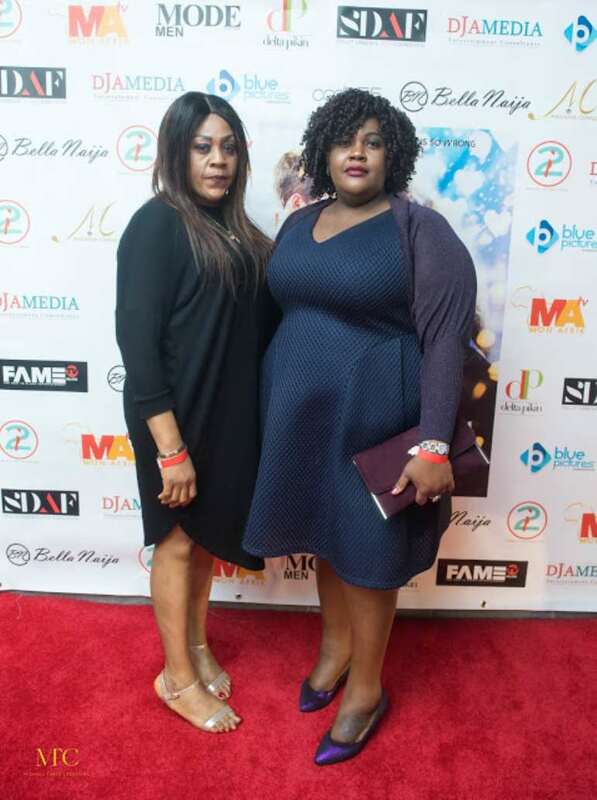 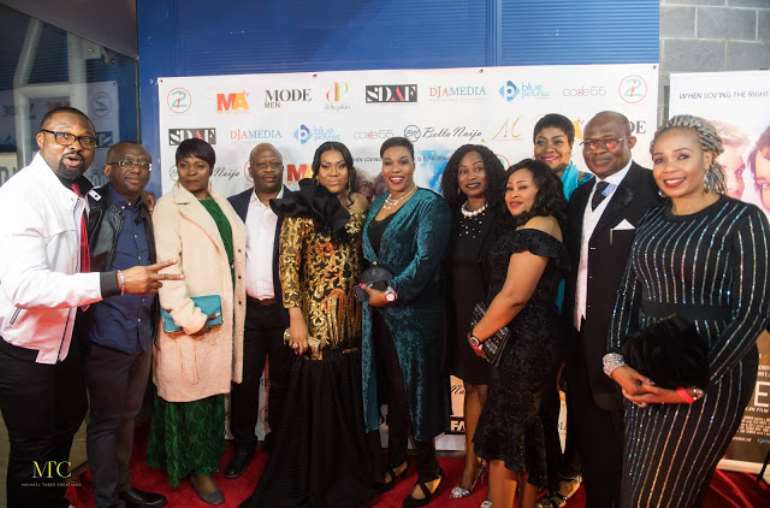 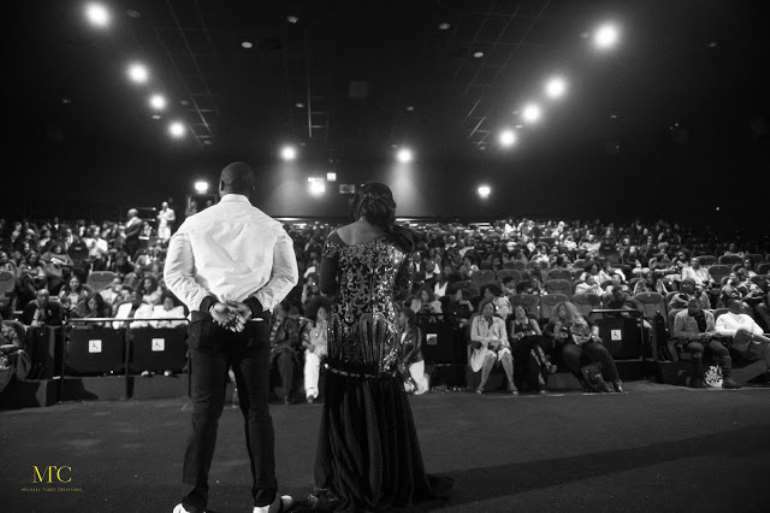 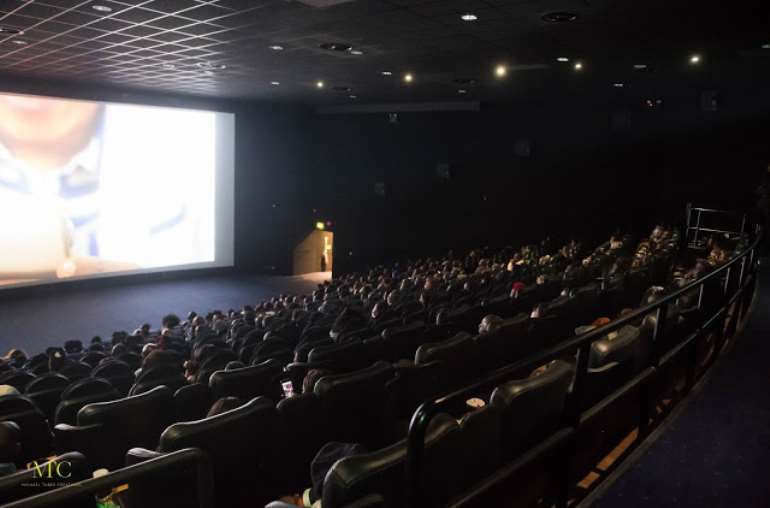 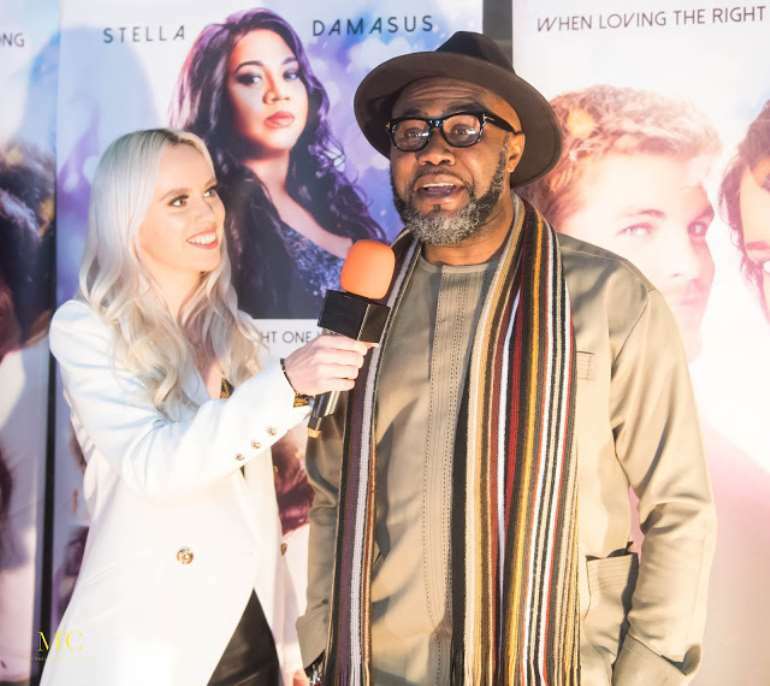 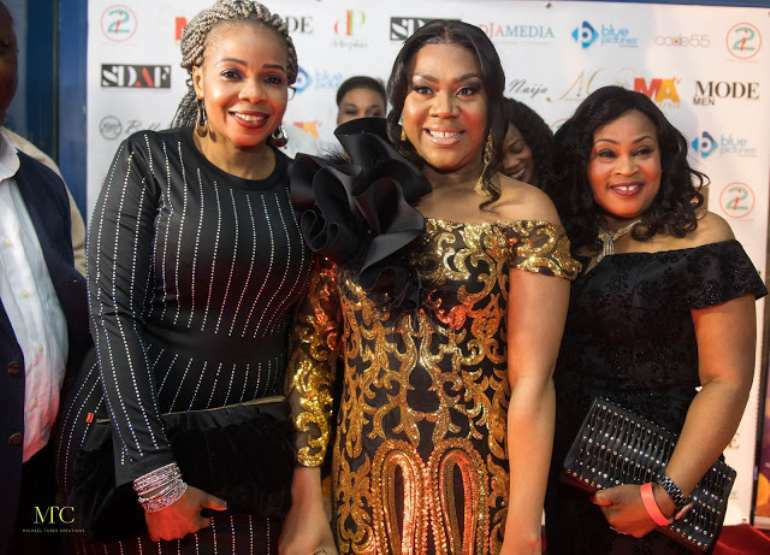 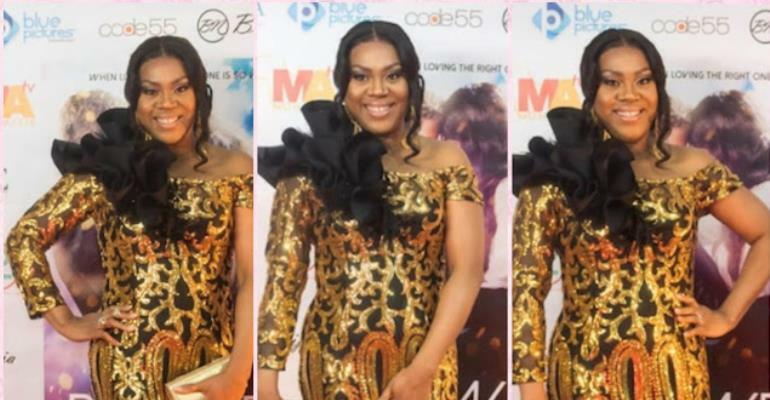 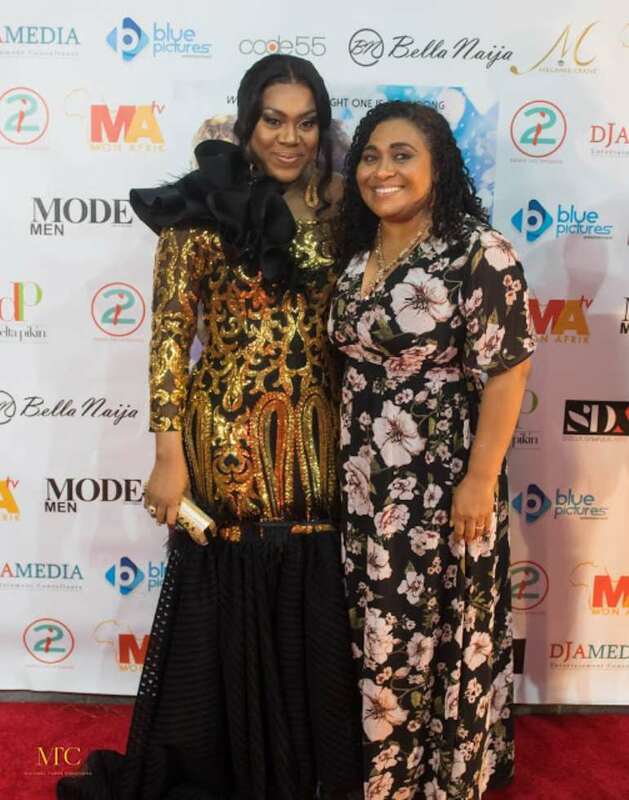 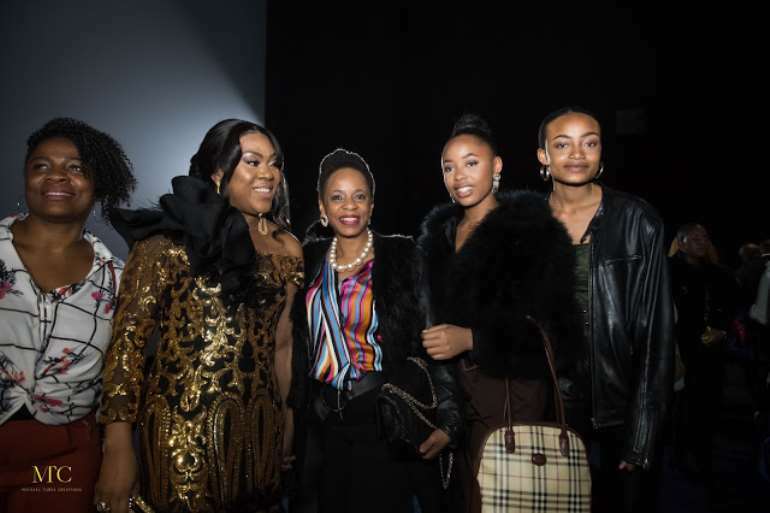 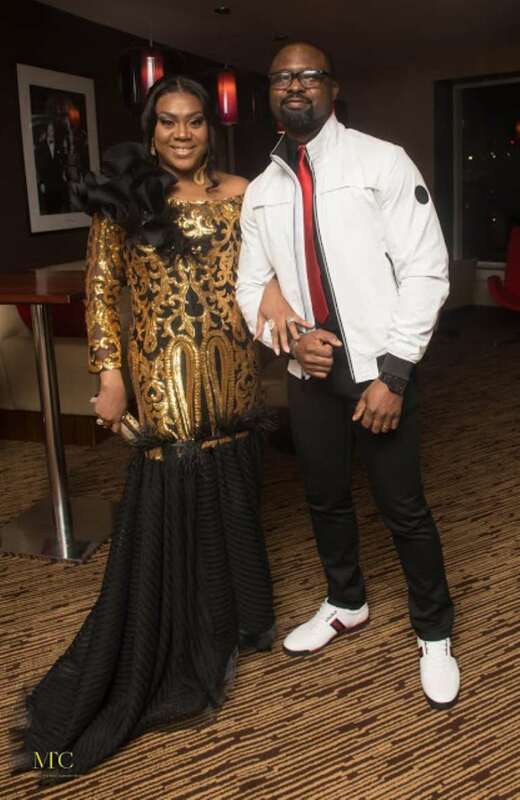 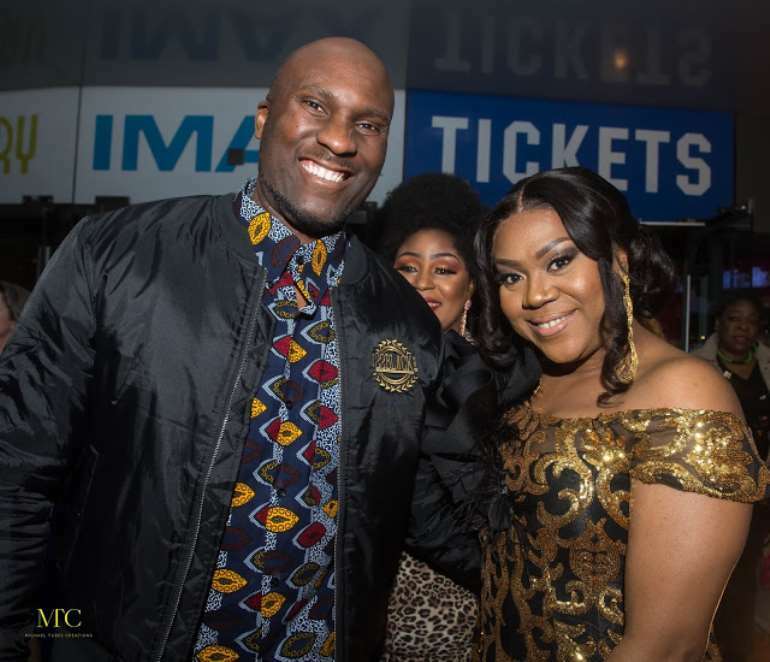 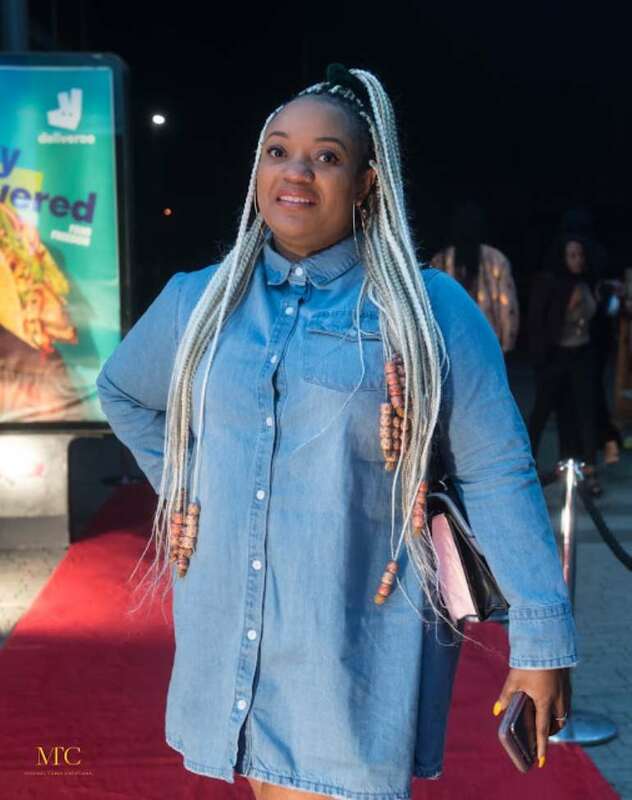 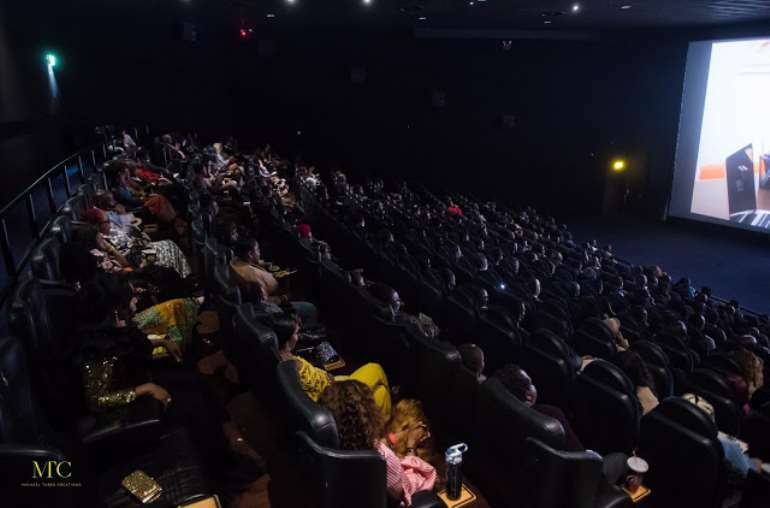 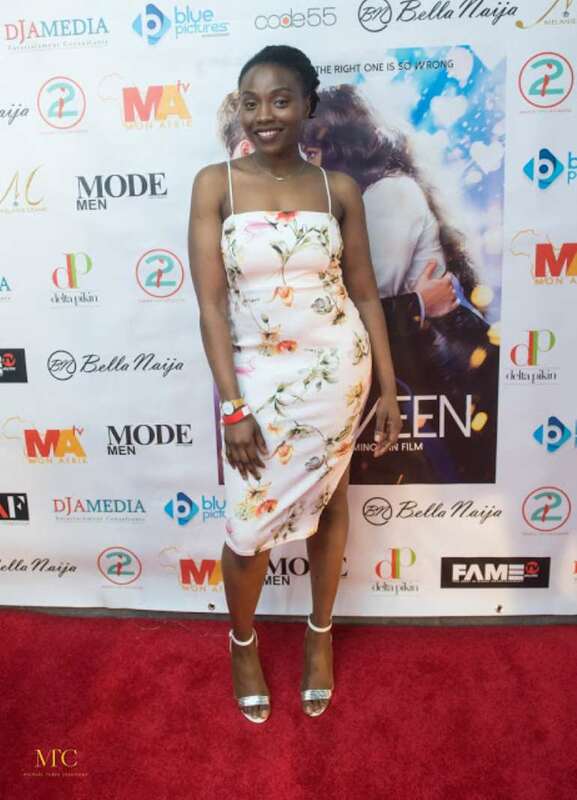 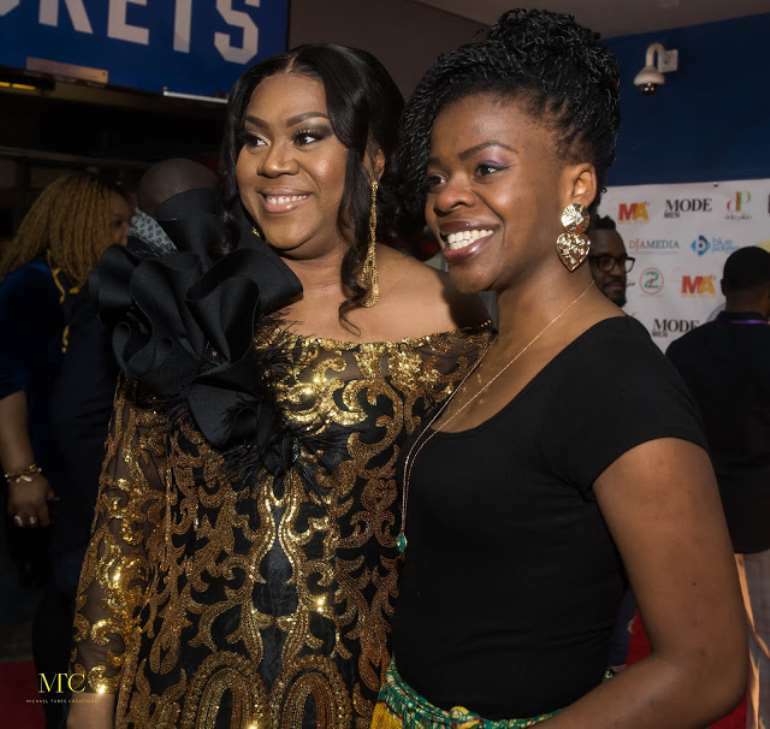 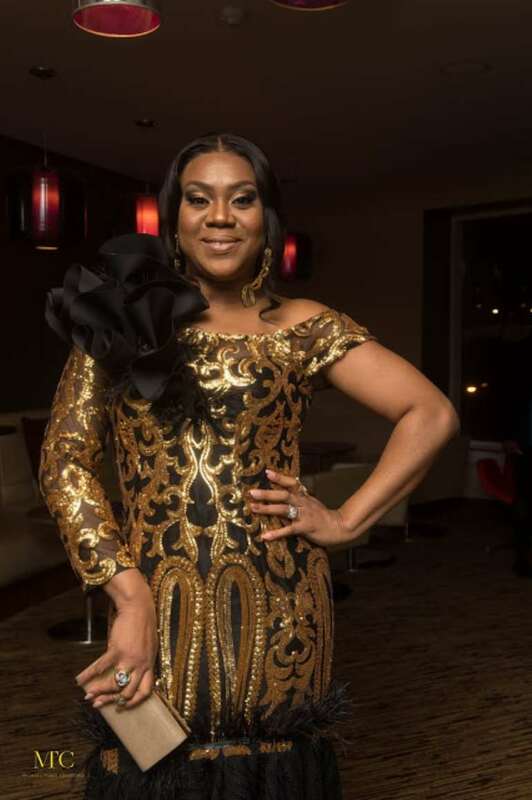 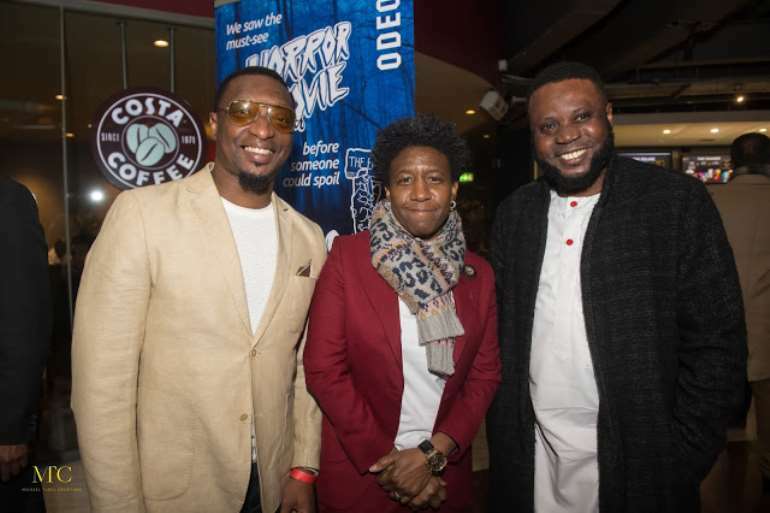 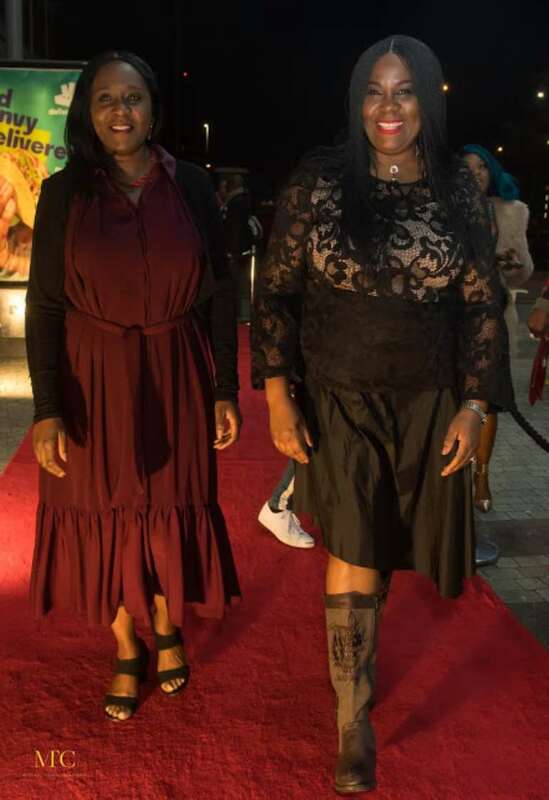 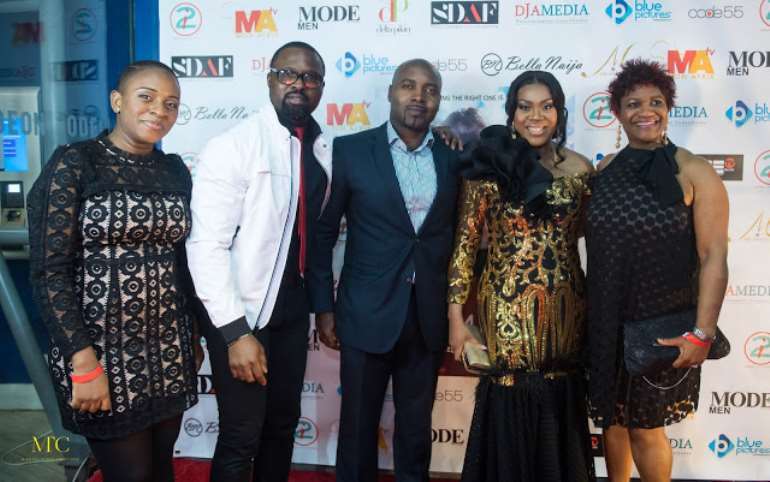 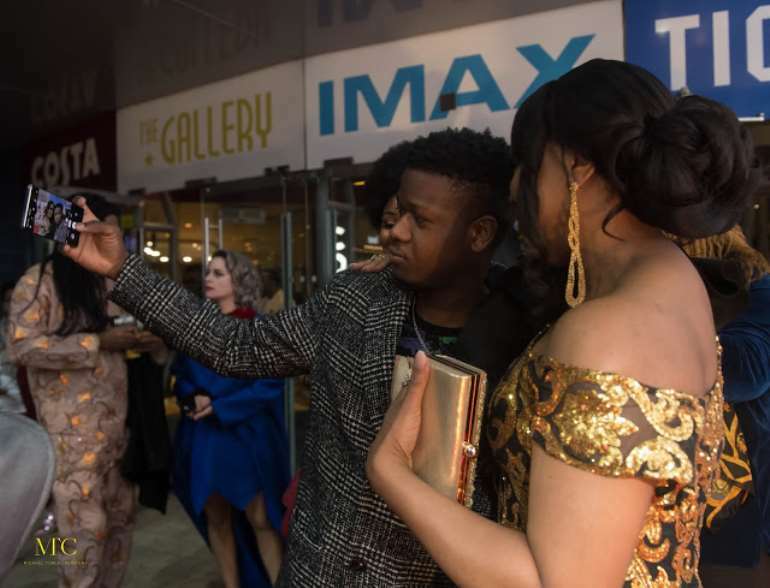 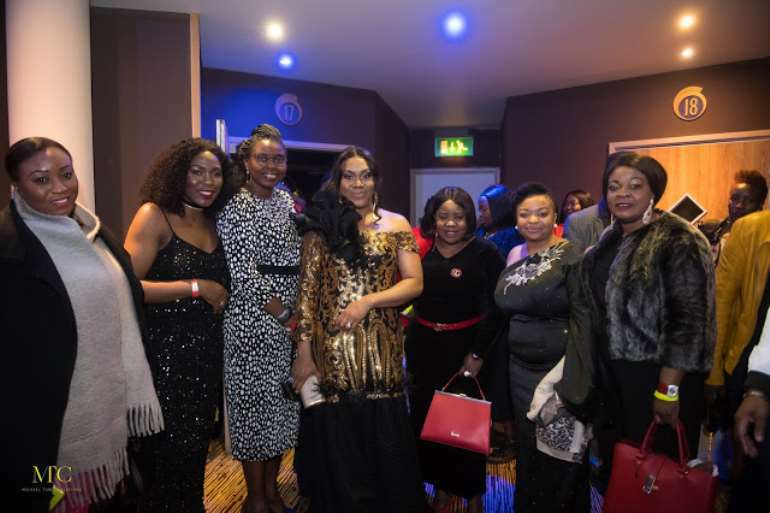 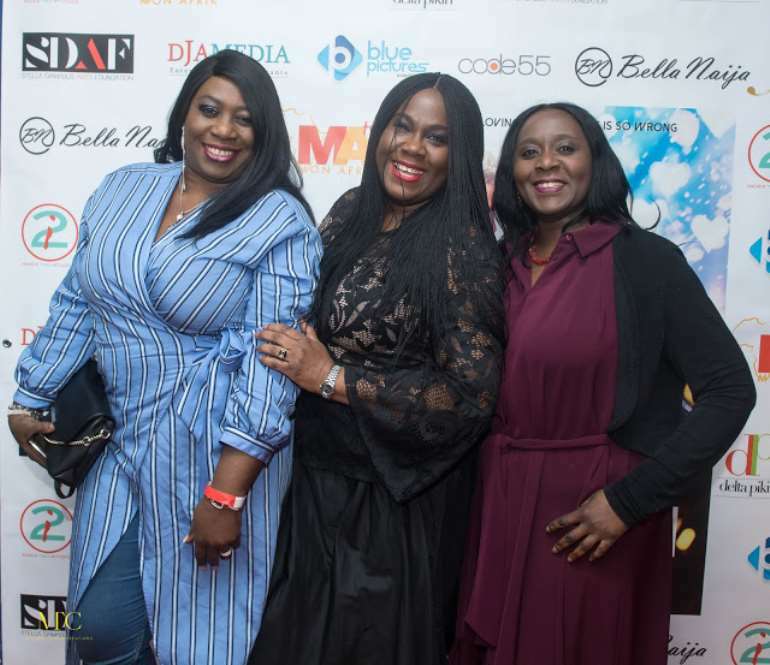 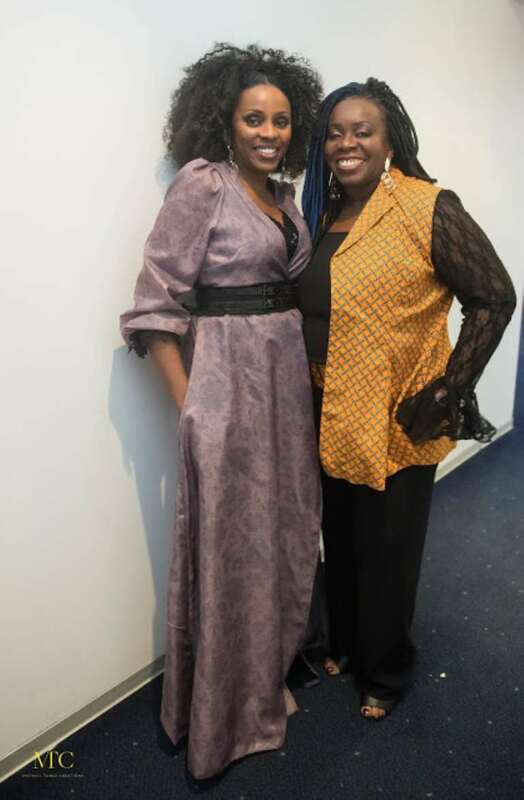 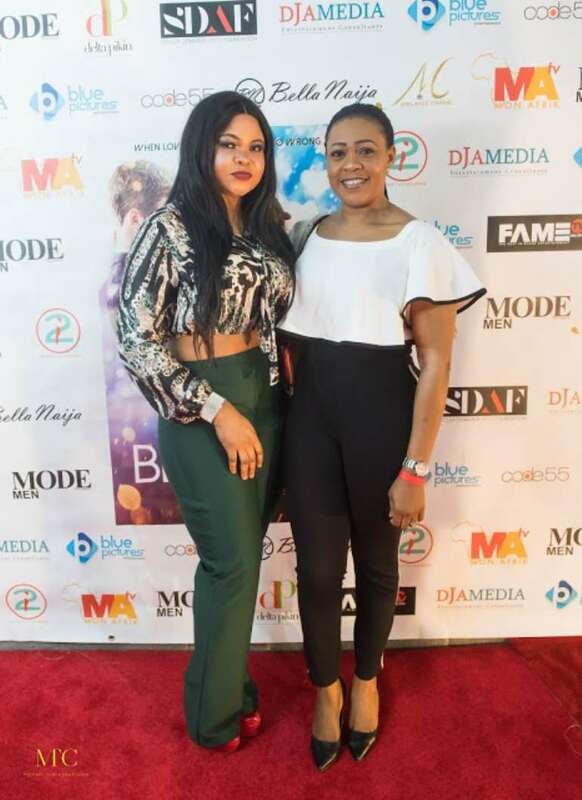 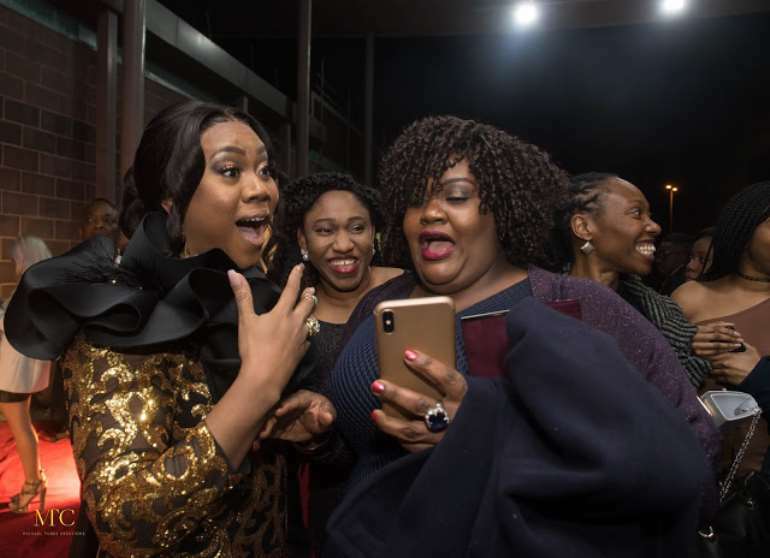 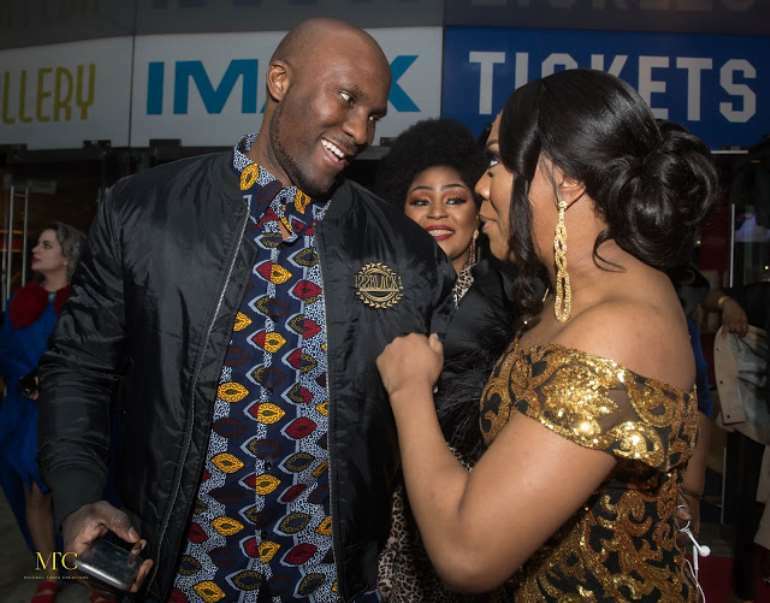 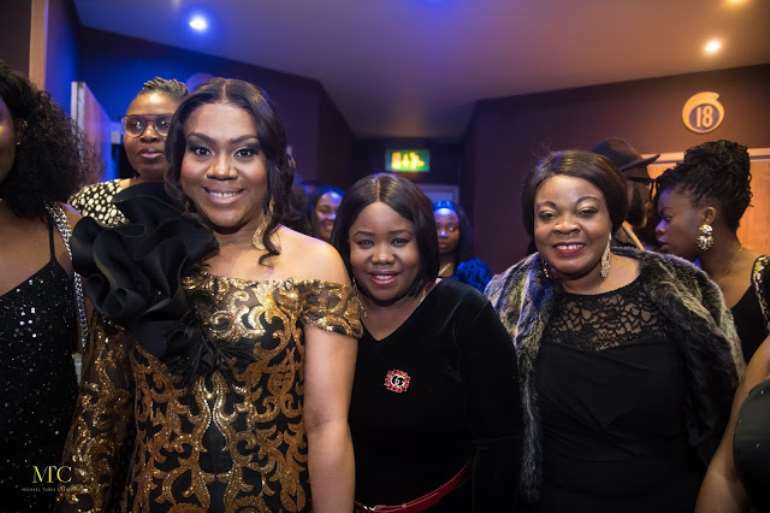 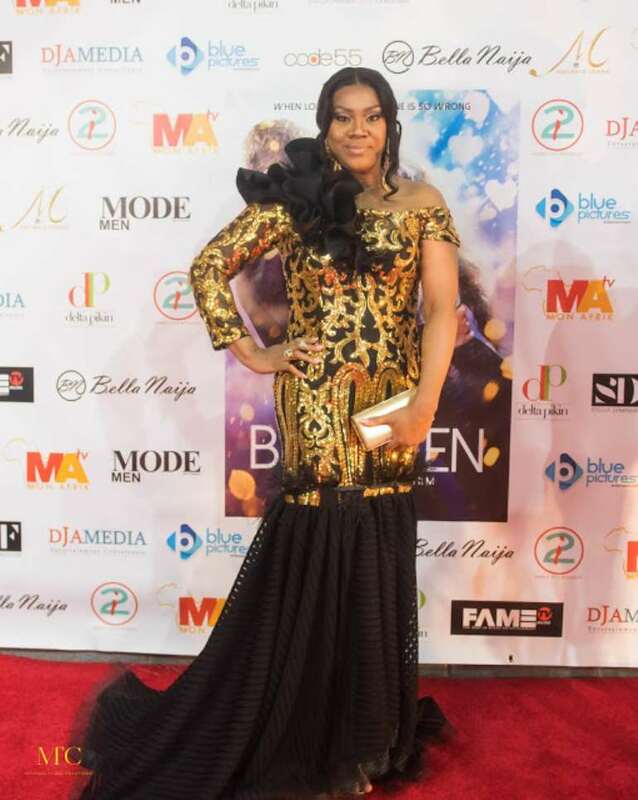 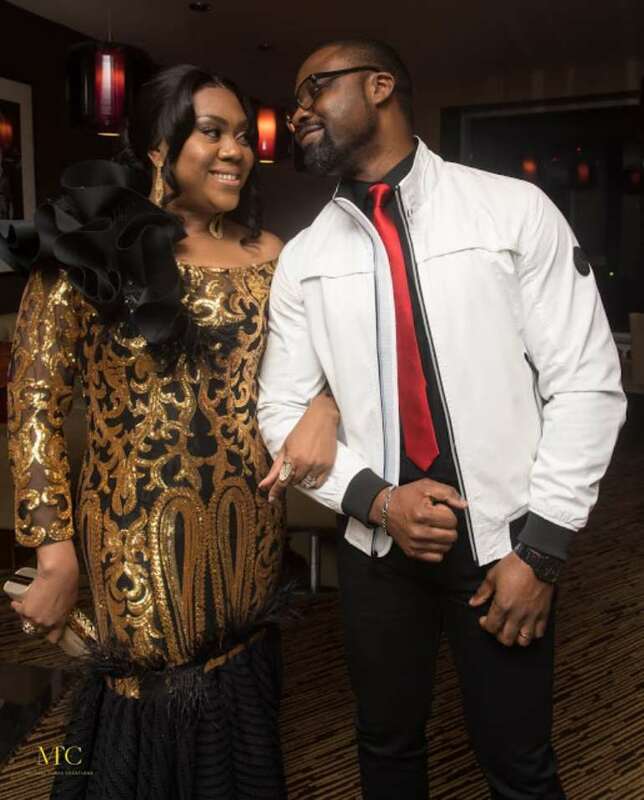 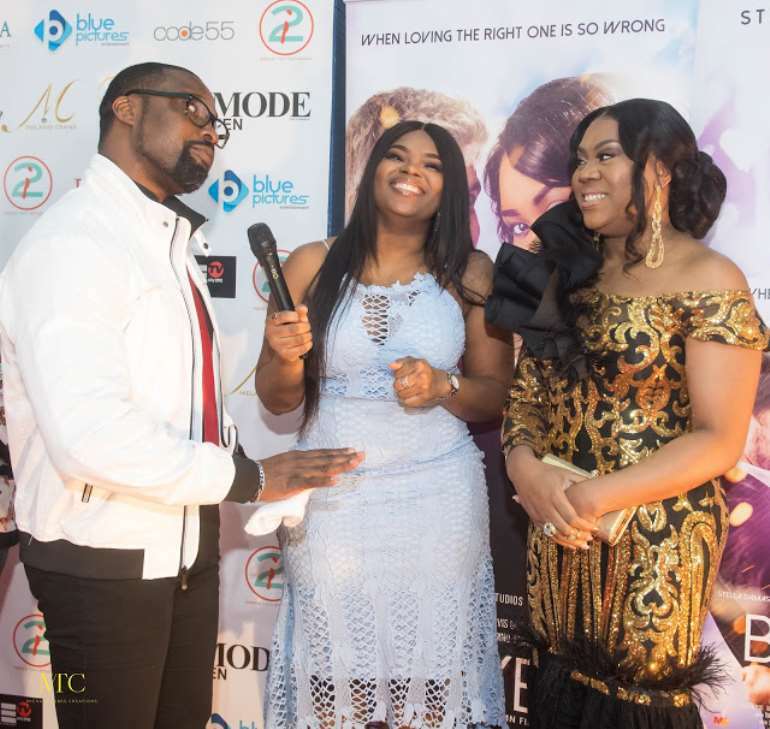 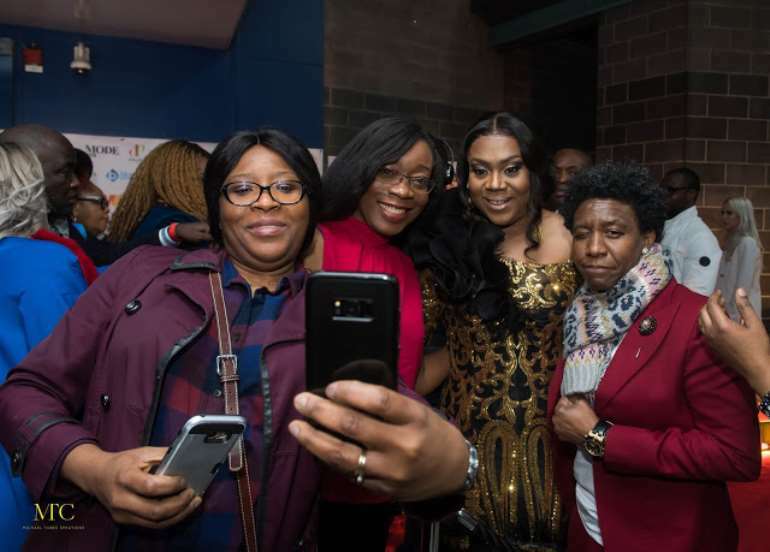 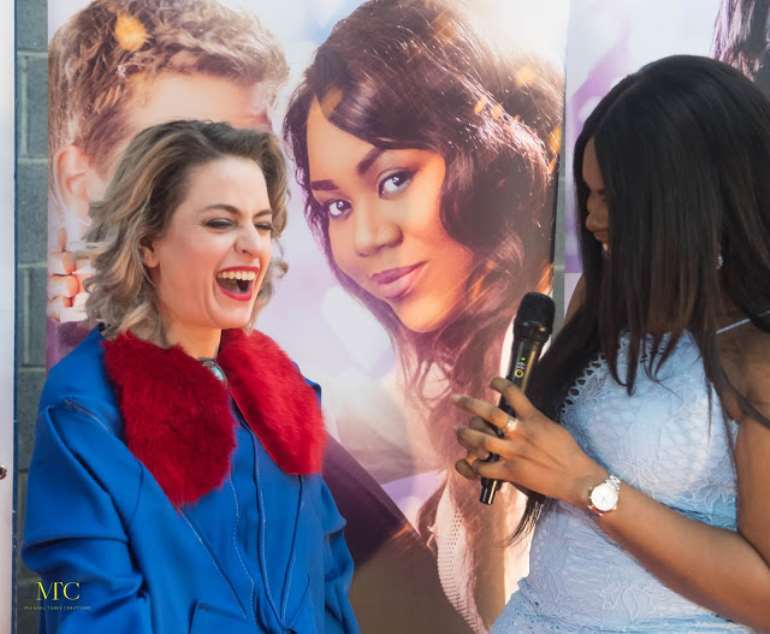 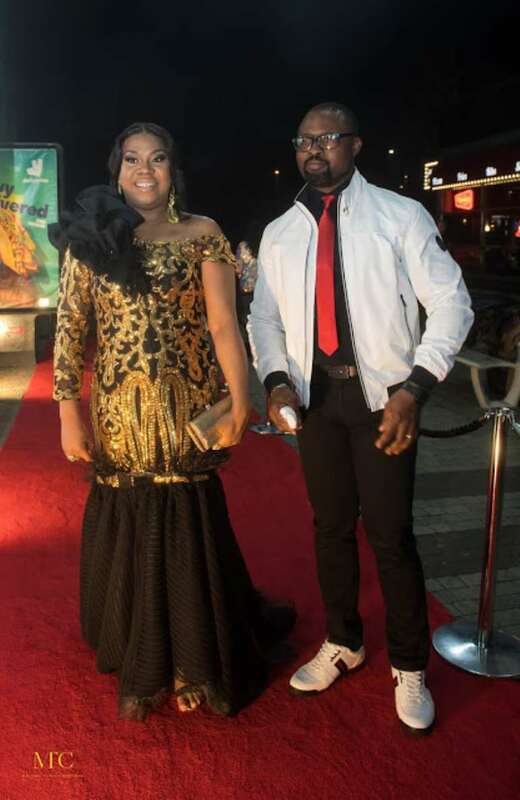 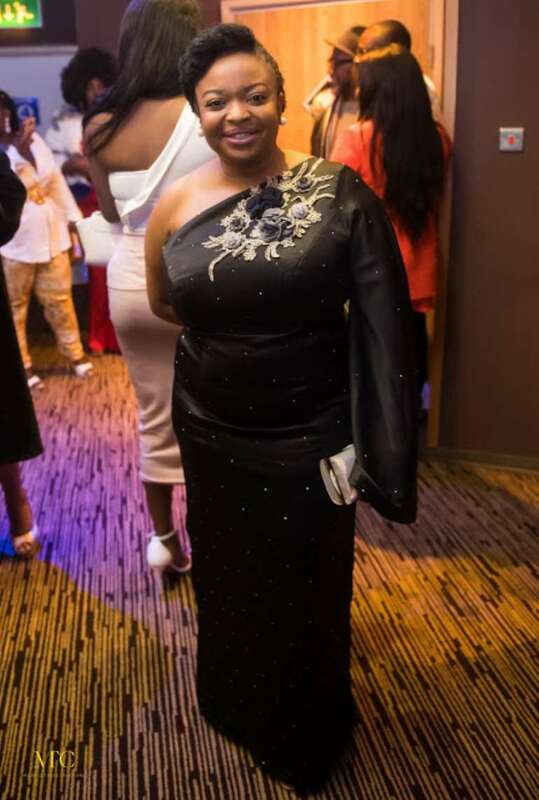 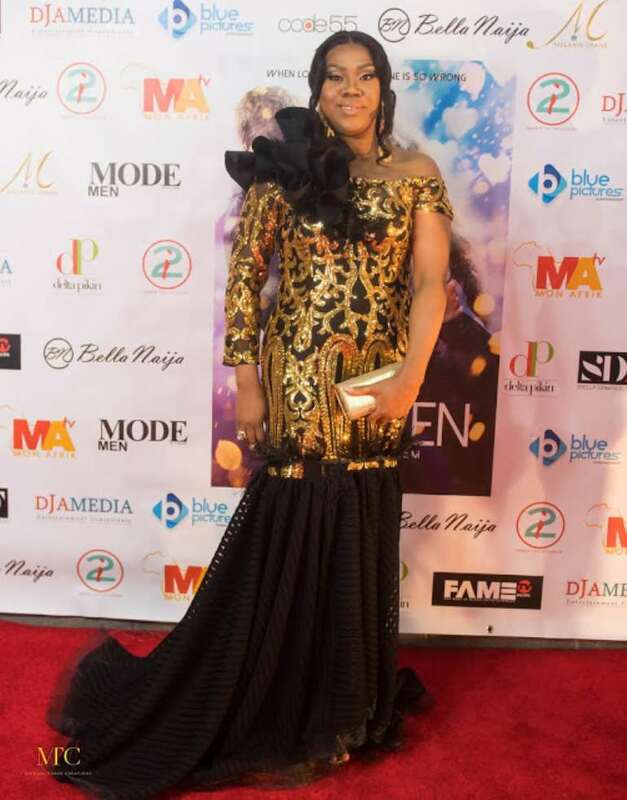 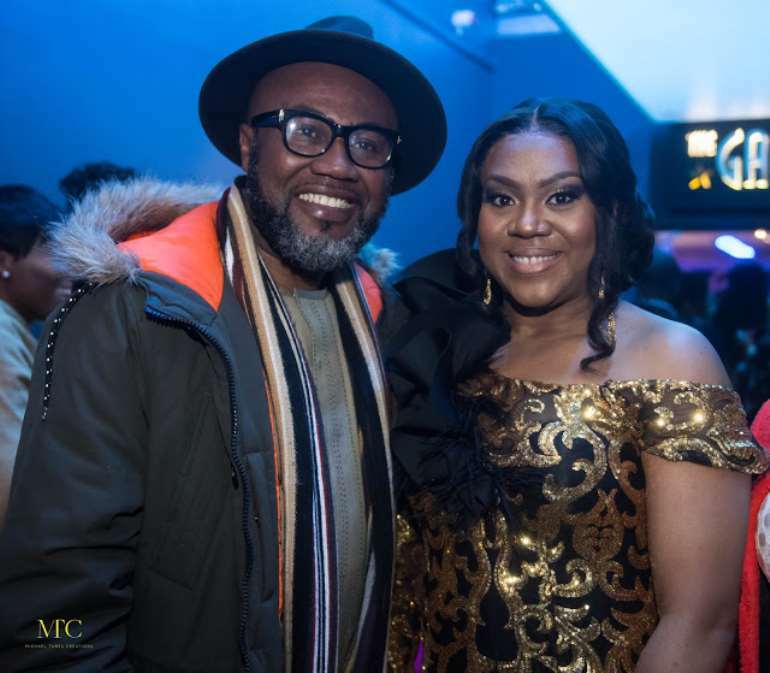 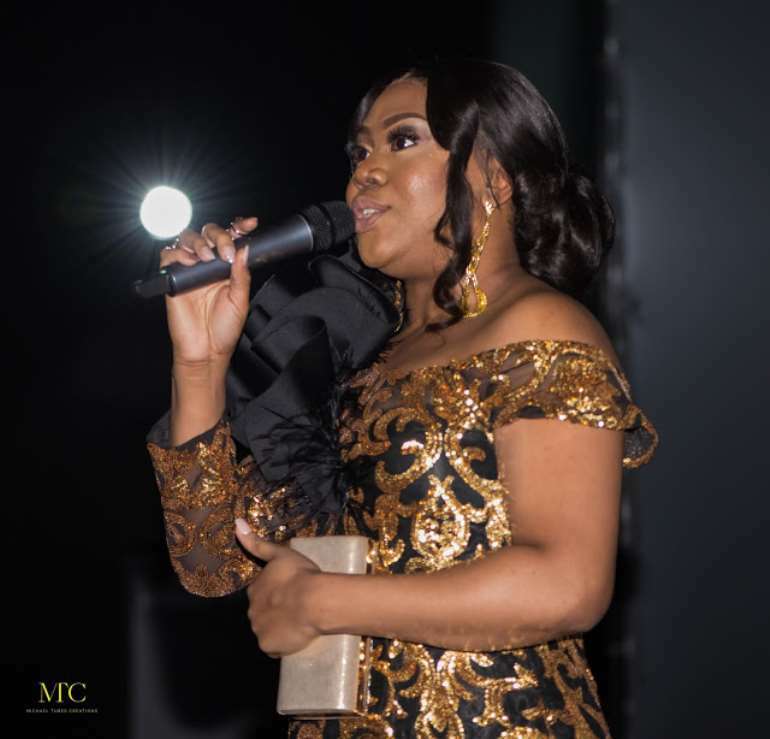 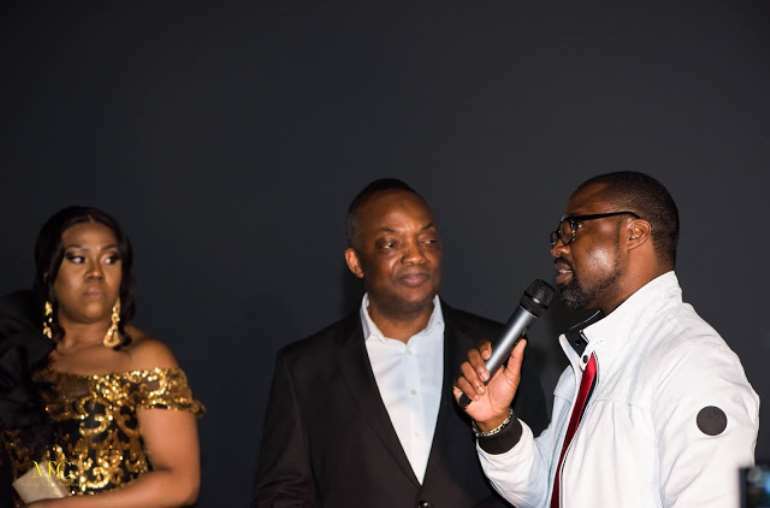 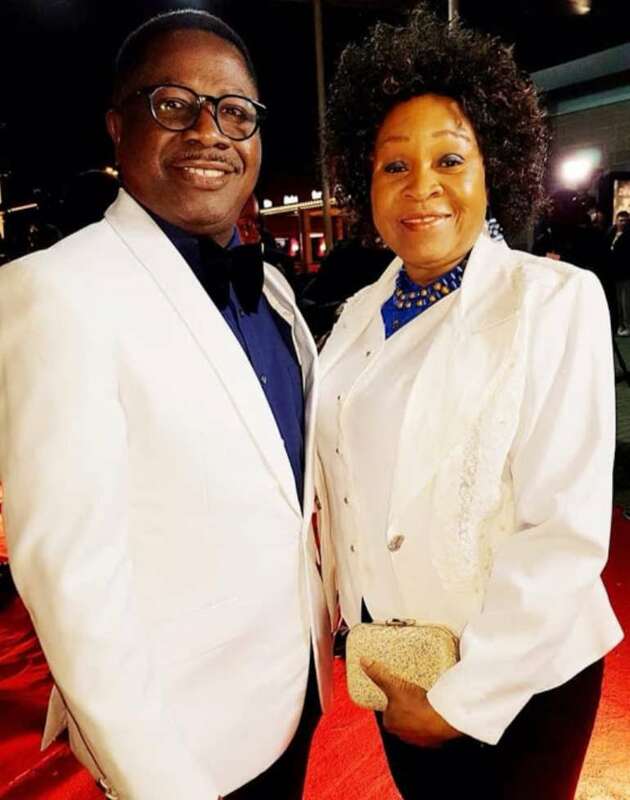 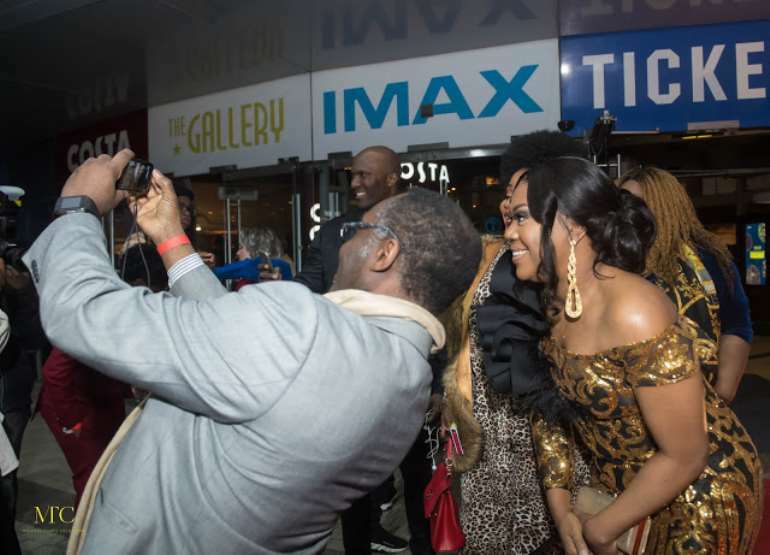 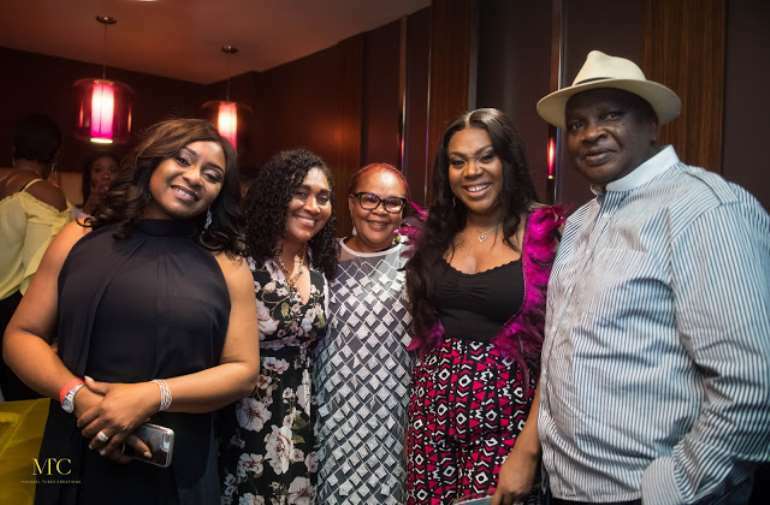 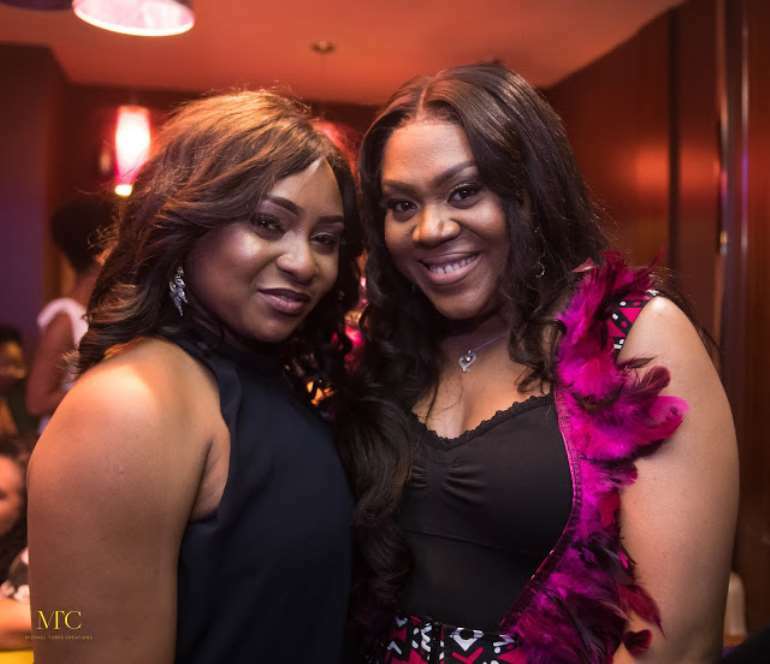 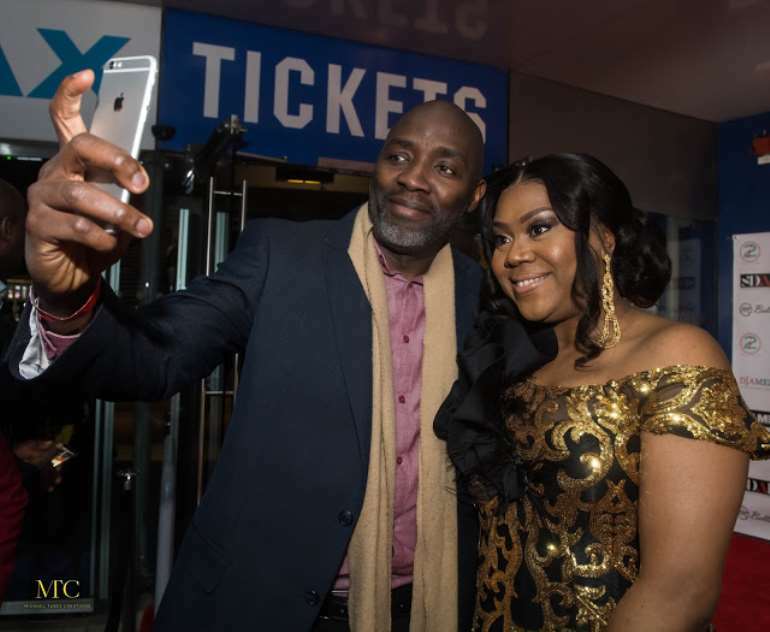 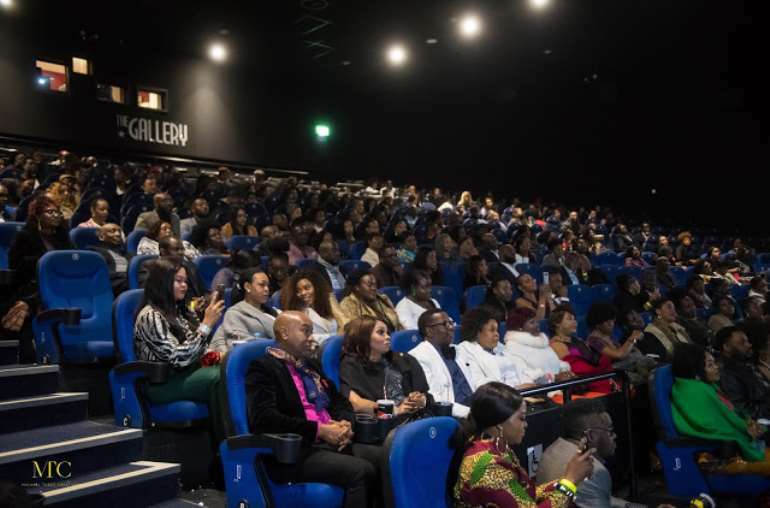 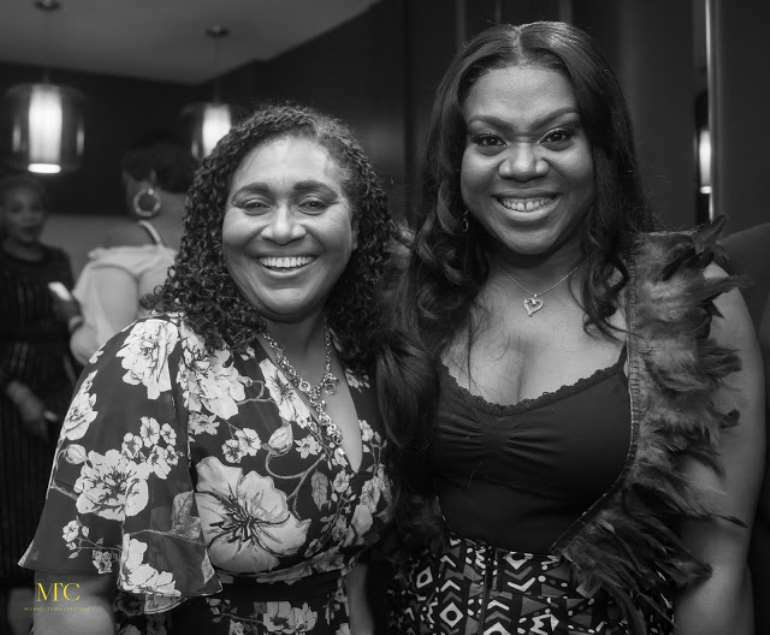 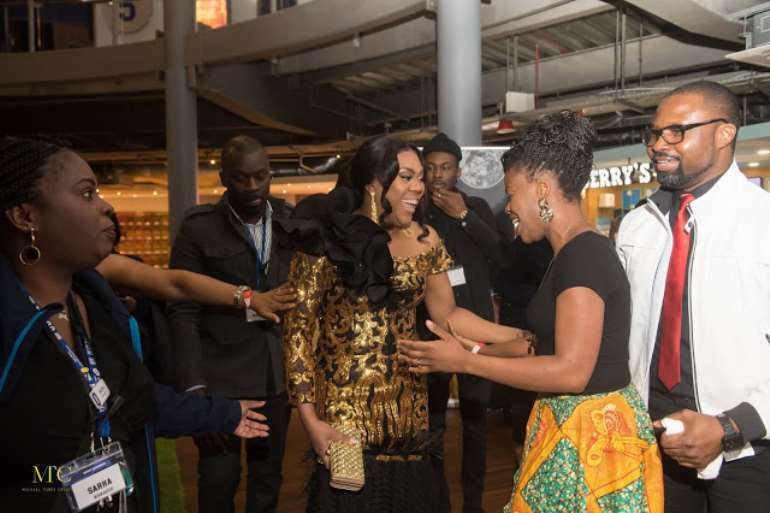 Award-winning actress Stella Damasus made her return to the big screen in style last Friday night as she attended the sold-out London premiere of her new film Between. 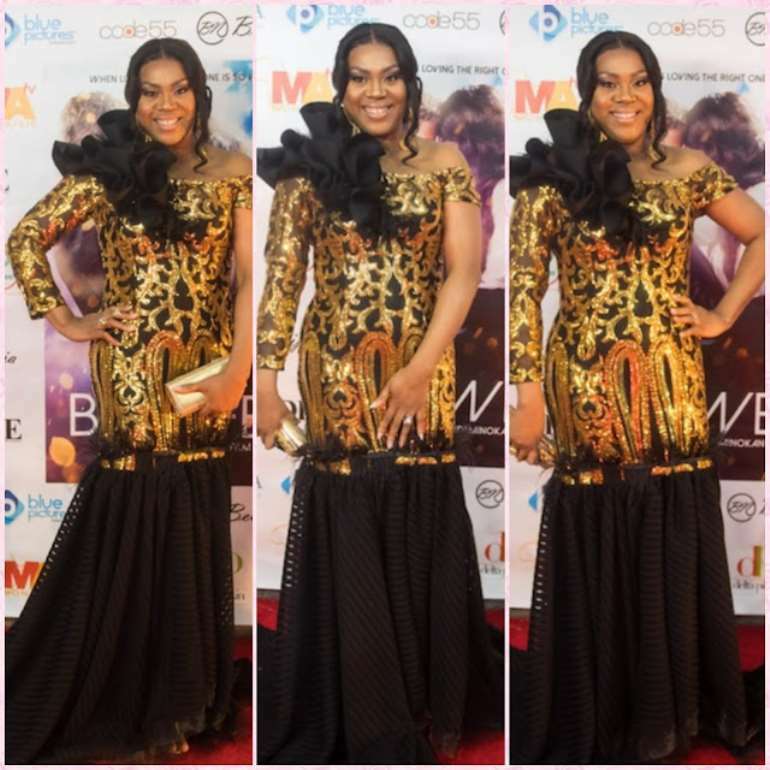 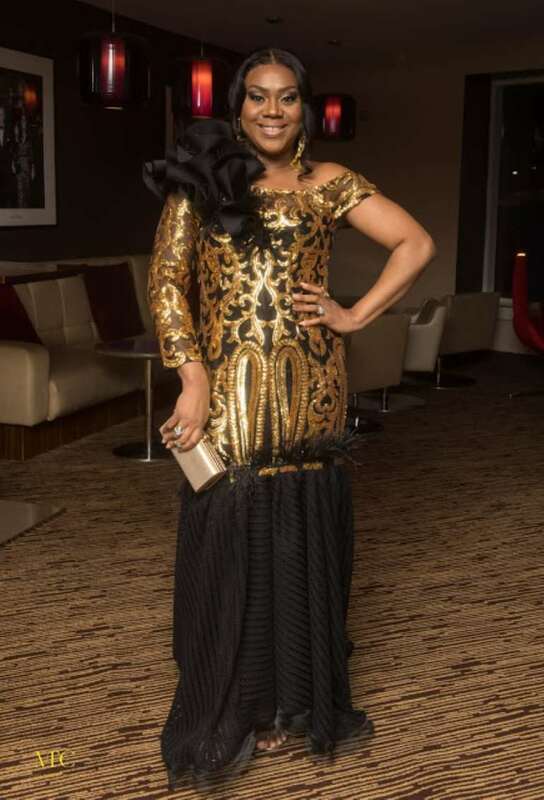 The 40-year-old star who was at the Odeon Cinema, Greenwich, London to promote the movie was decked out in beautiful gold and black dress (made by London based Scissorshand Couture ) with matching clutch bag. 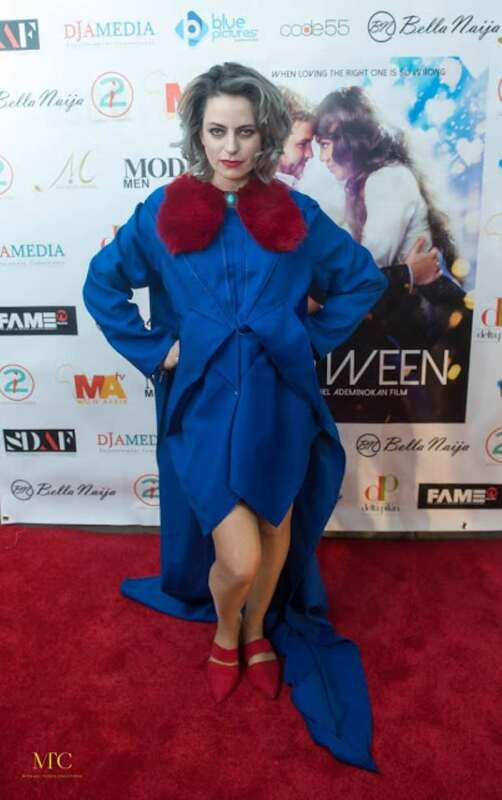 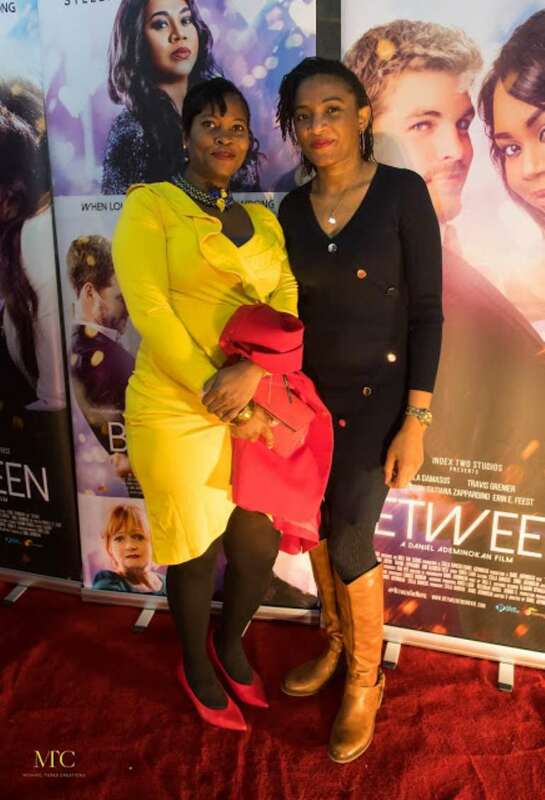 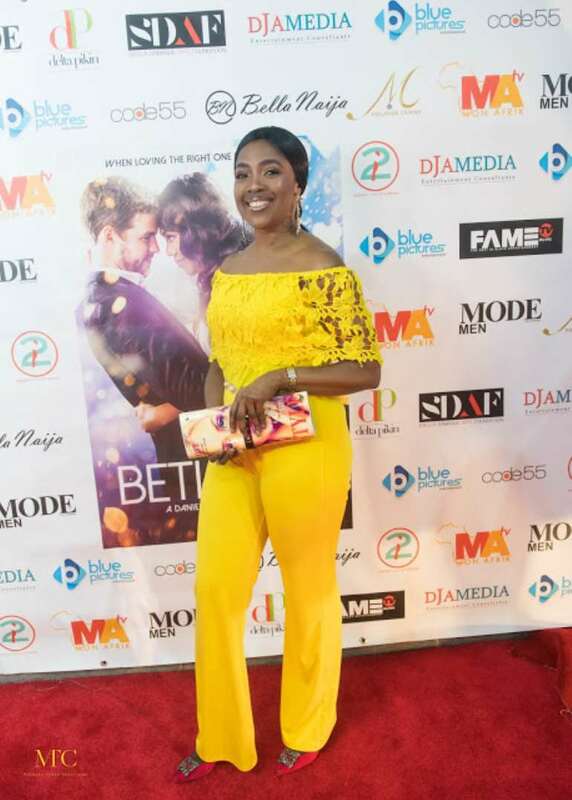 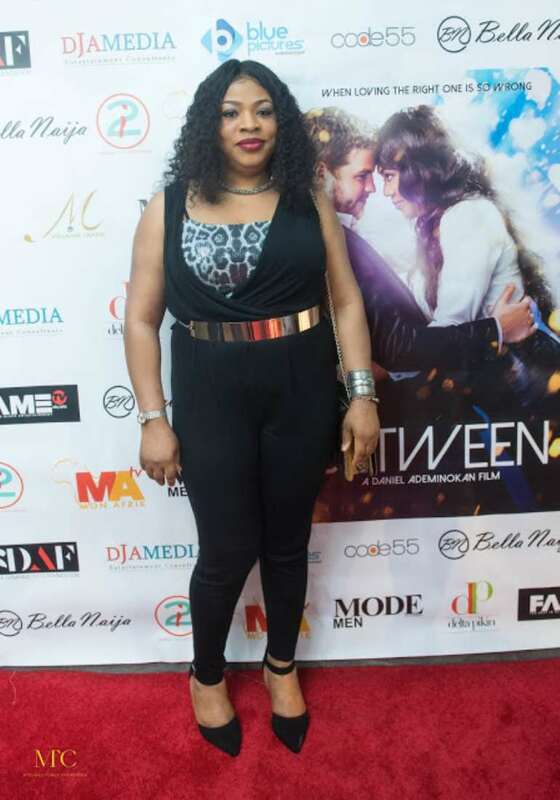 Between movie which was co-produced and directed by Stella's husband Daniel Ademinokan follows a 36-year-old Chelsea Hollis played by Stella Damasus, a four-time divorcee who lives a double life as very successful marriage counselor by day and a party girl at night who has completely given up on love. 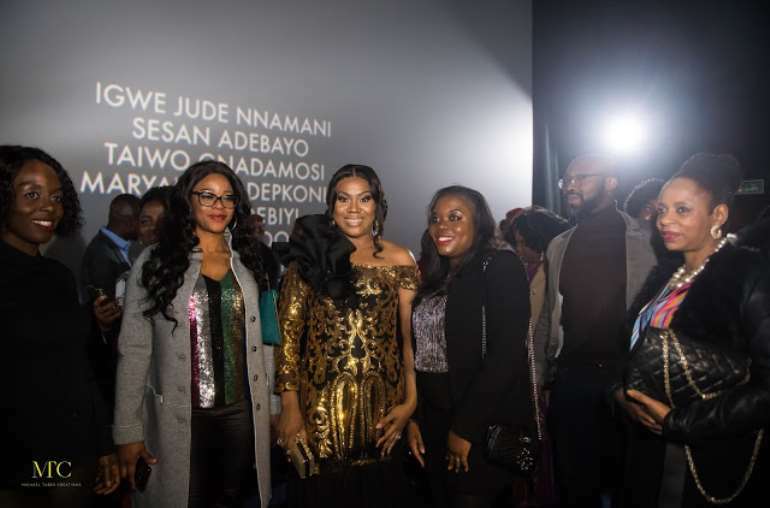 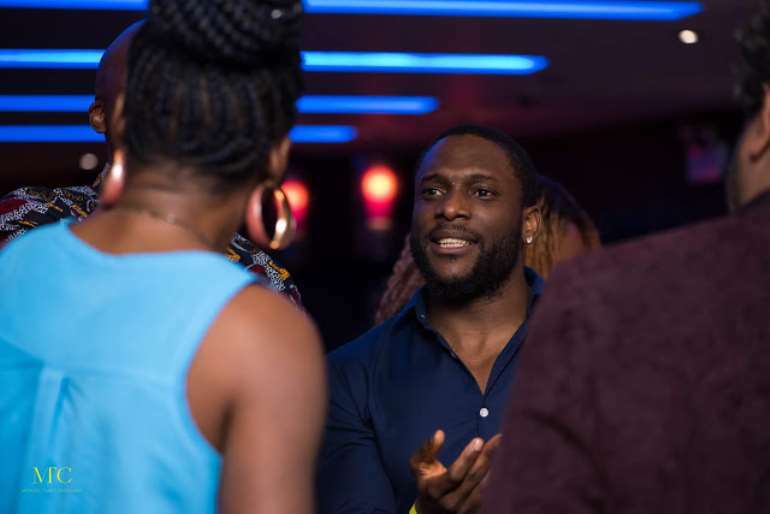 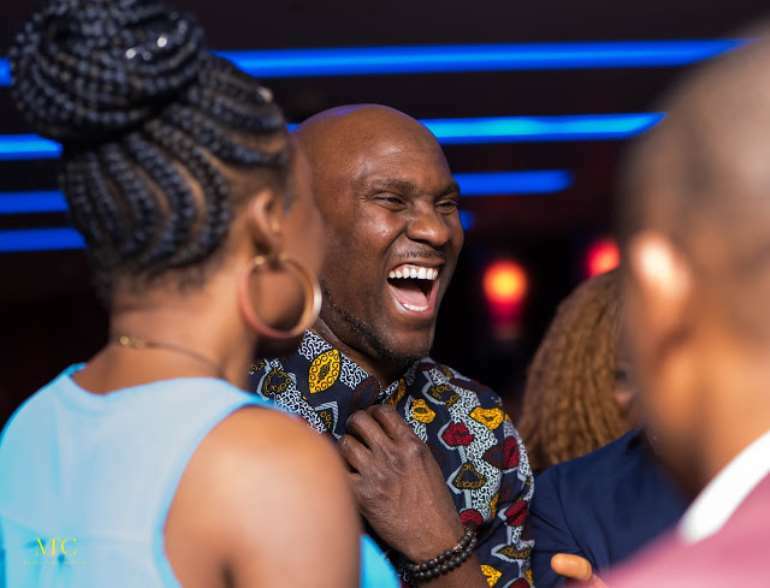 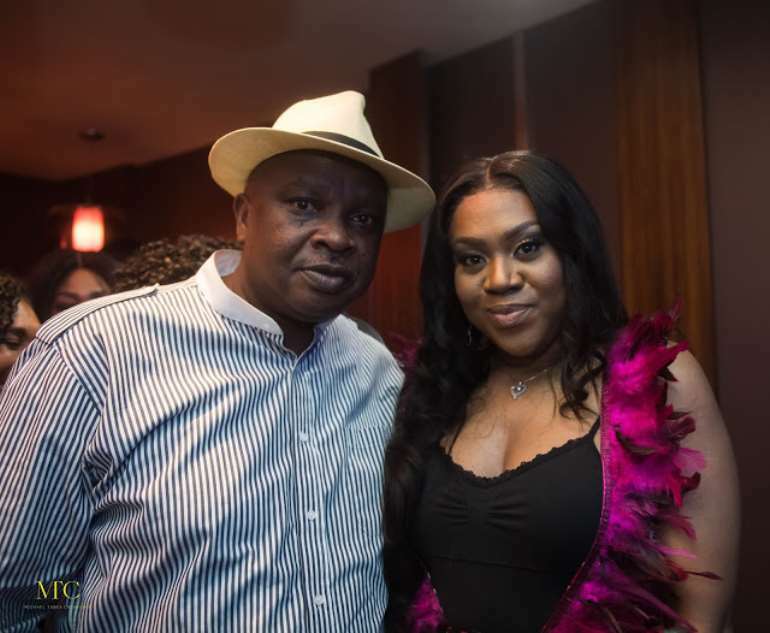 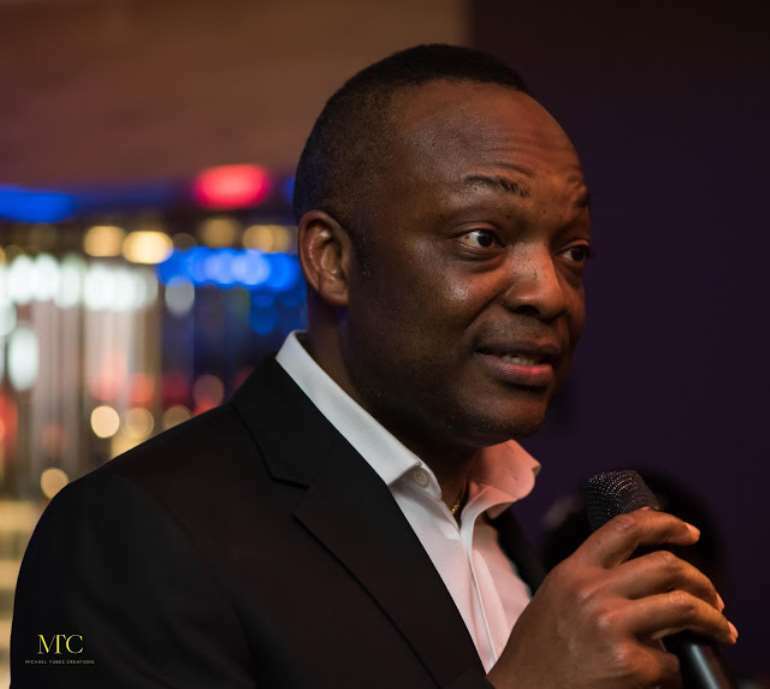 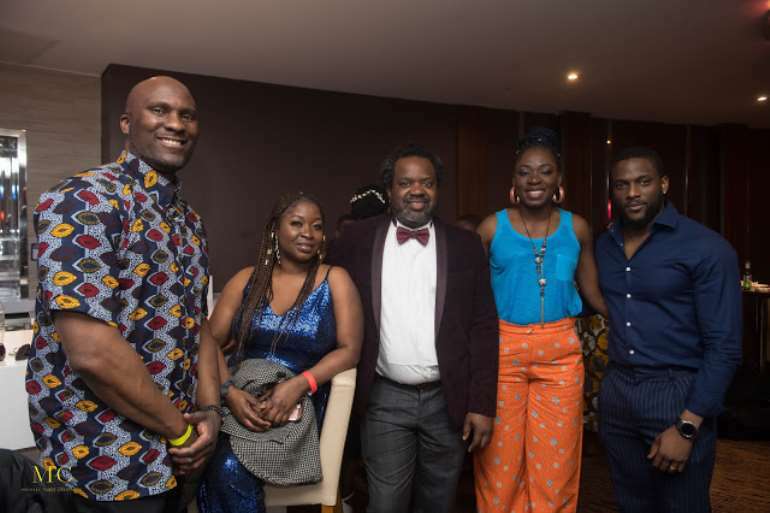 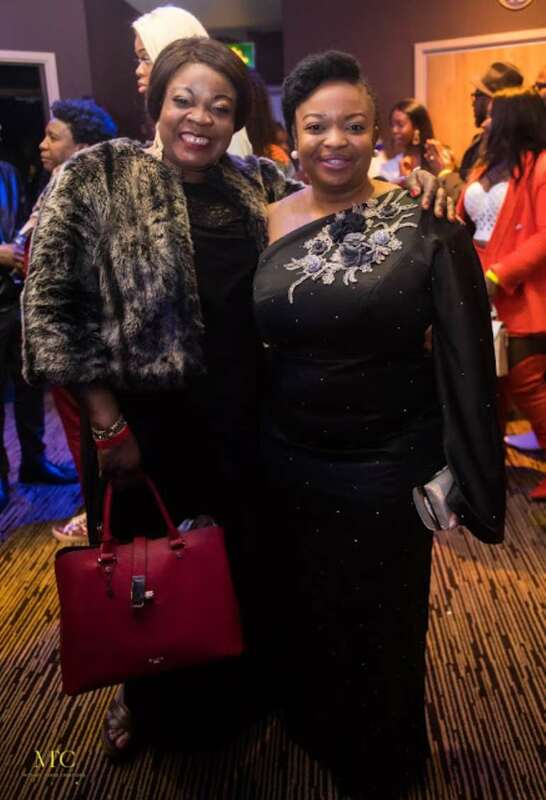 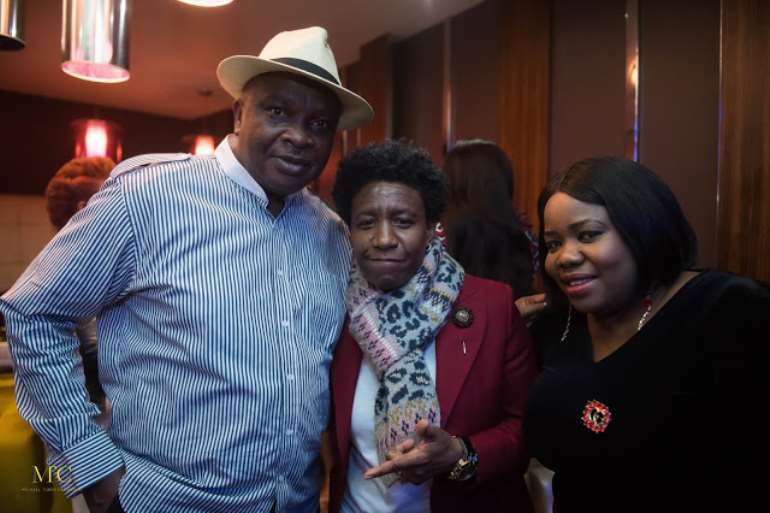 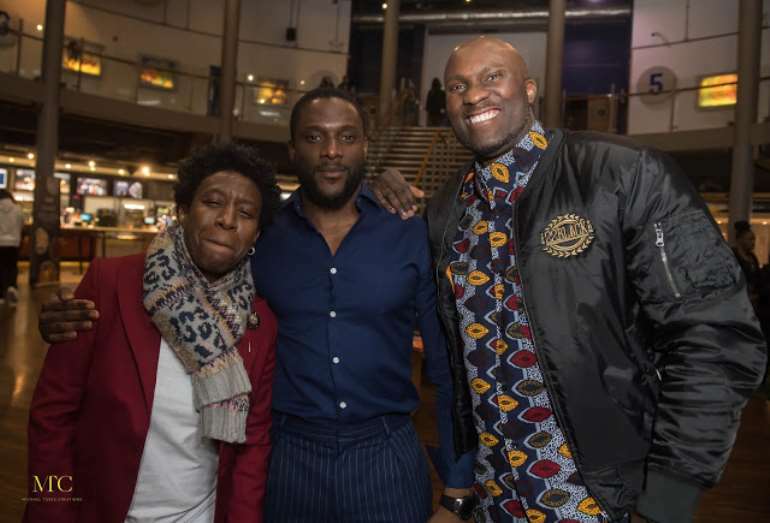 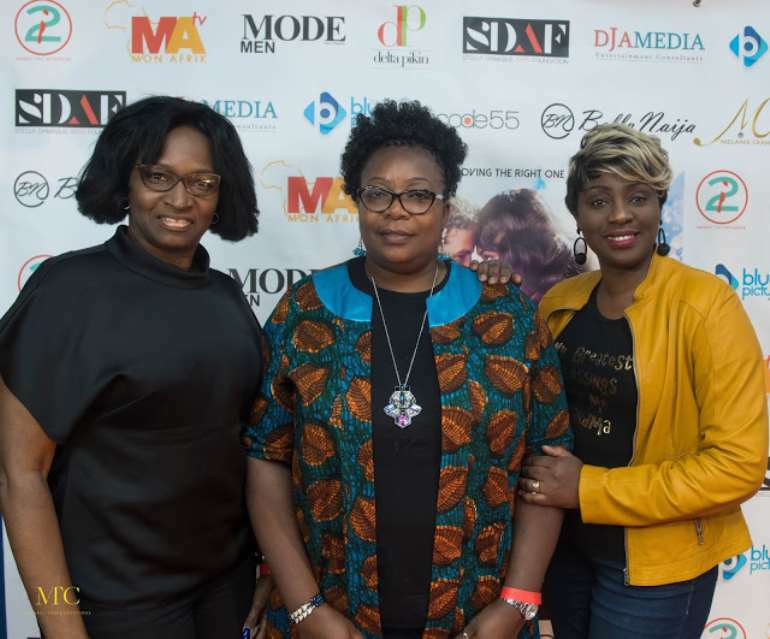 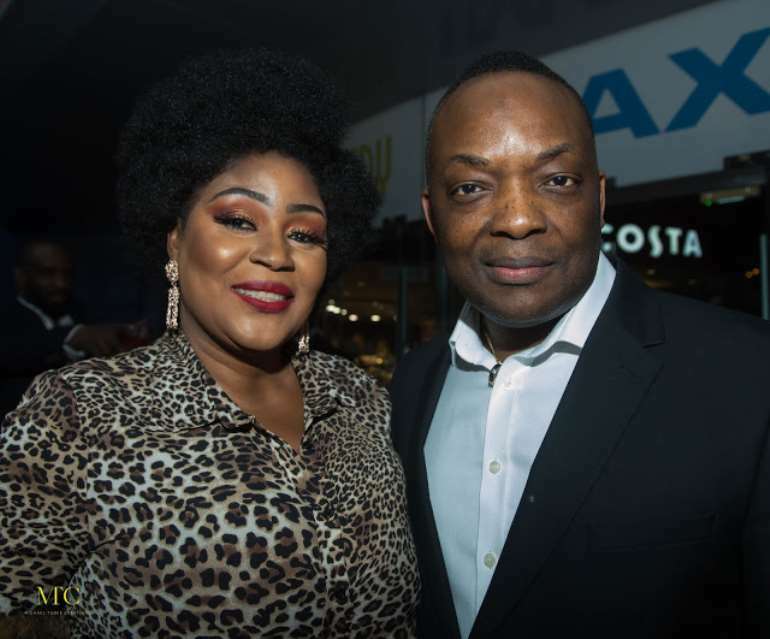 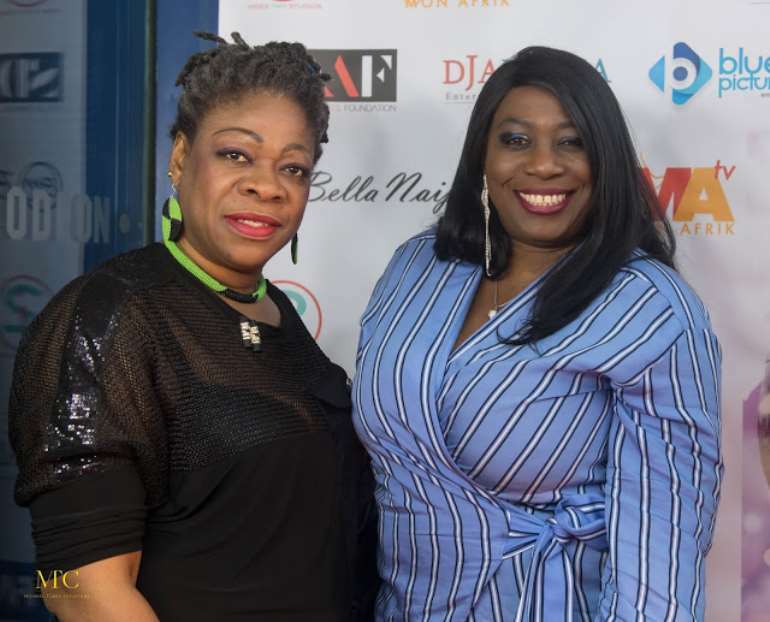 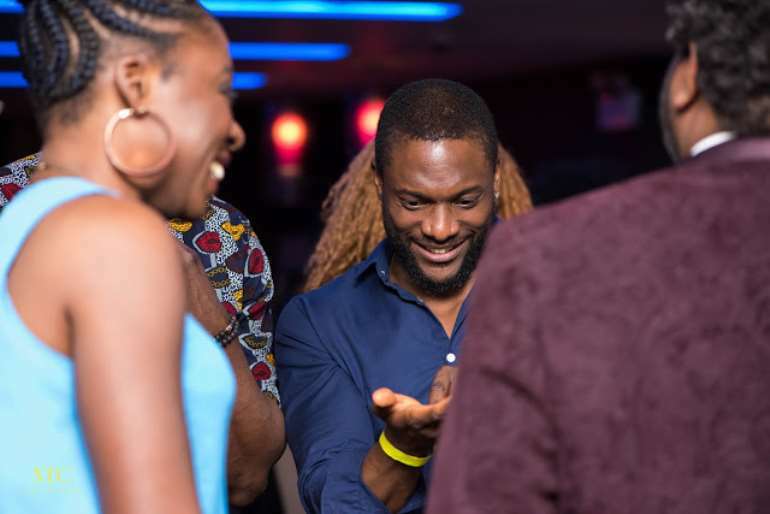 The event had in attendance notable celebrities Hilda Dokubo, Wale Gates, Weird MC, Dr Kelechi 'Arsenal' Anyikude, Dr Dayo Olomu, Victoria Inyama, Ruke Amata, Adesope Olajide (Shopsy Doo), Theodora Ibekwe - Oyebade, Peter Macjob, Ellen Thomas, Mike Aremu, Kas Beats, Maria Nepembe, Princess Deun Adedoyin - Solarin, Uche Odoputa and the premiere was hosted by Dj Abass . 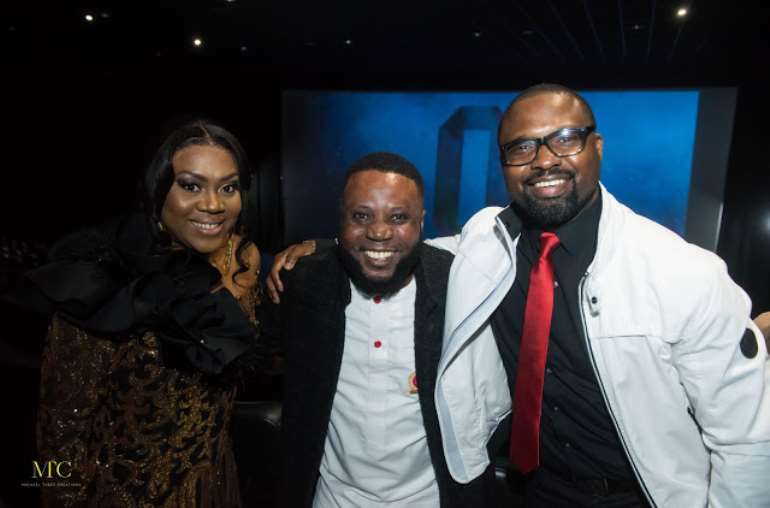 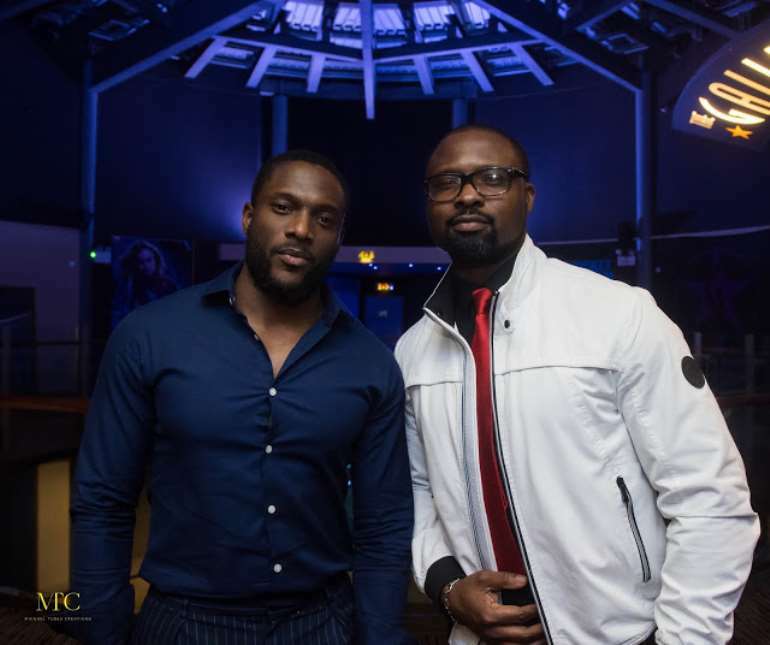 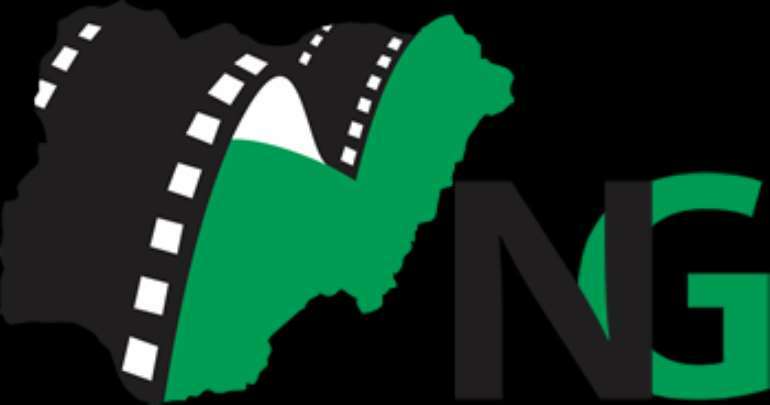 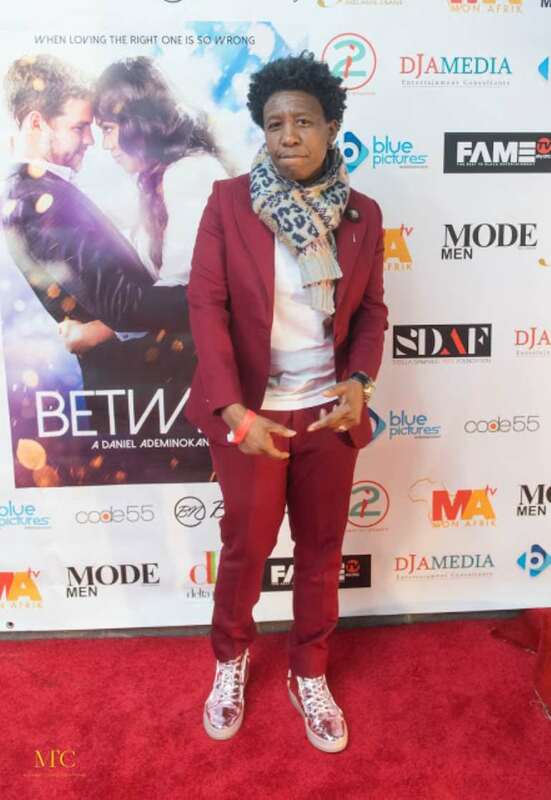 Between the movie is set to hit Nigeria screens next month. 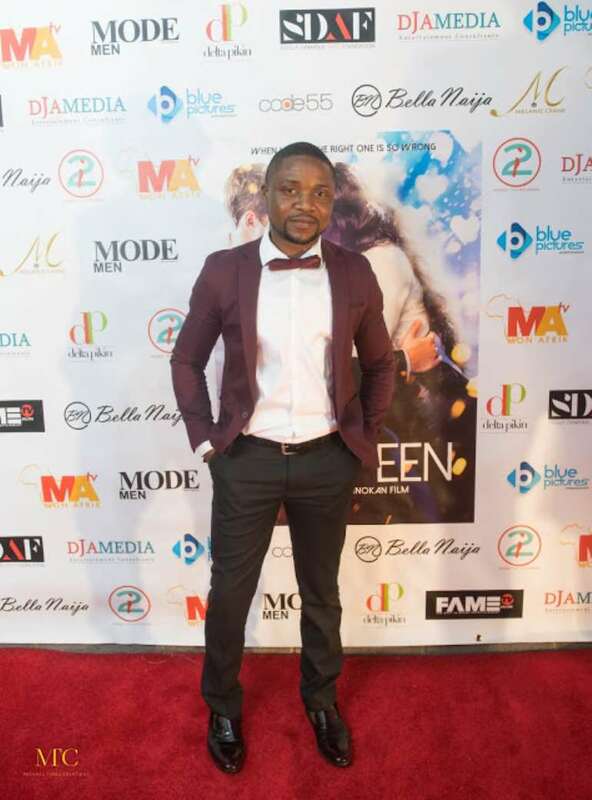 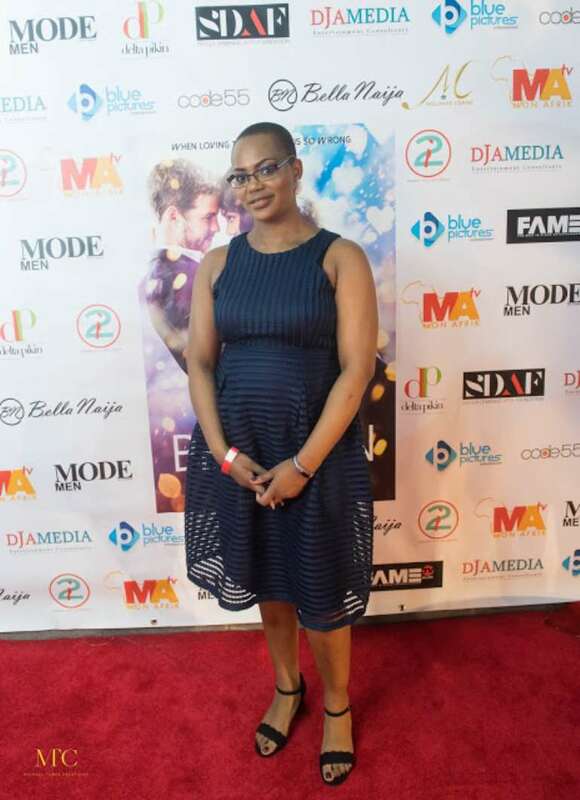 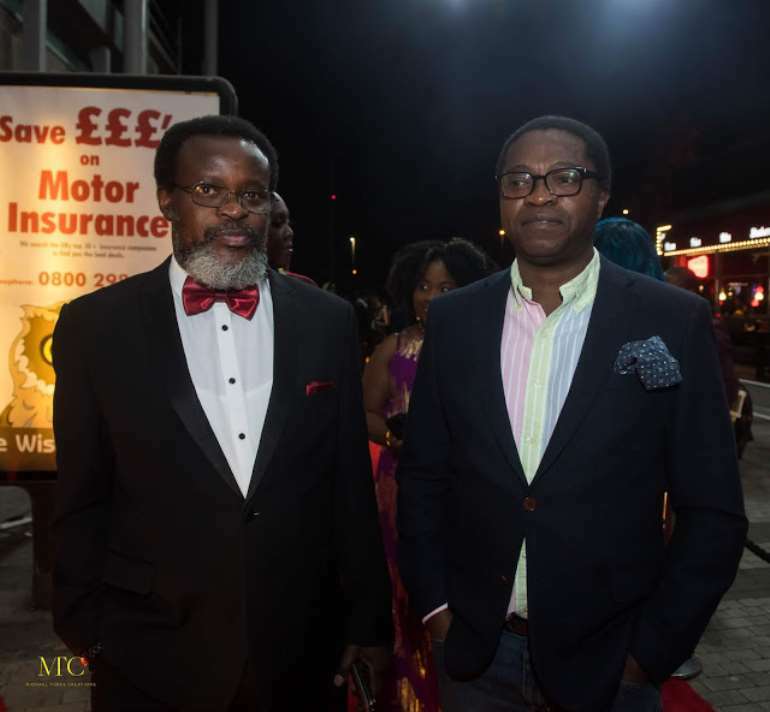 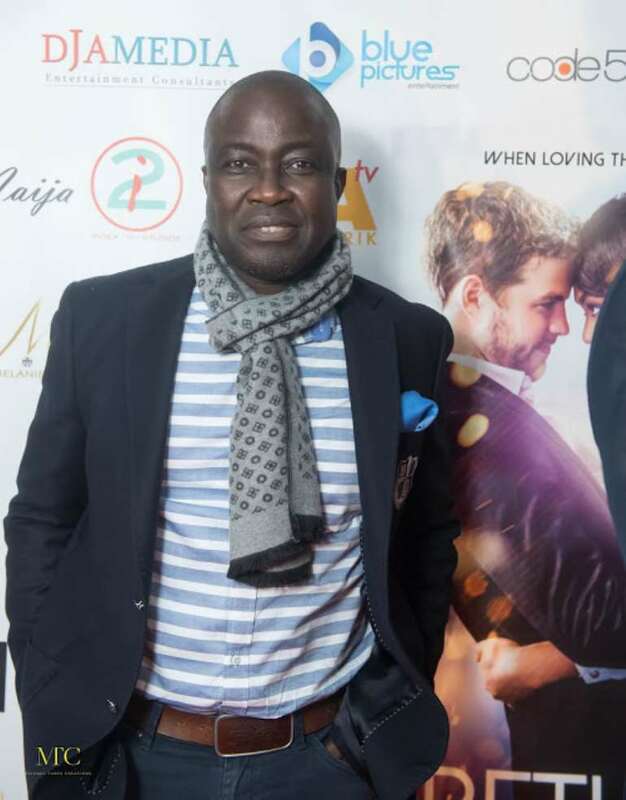 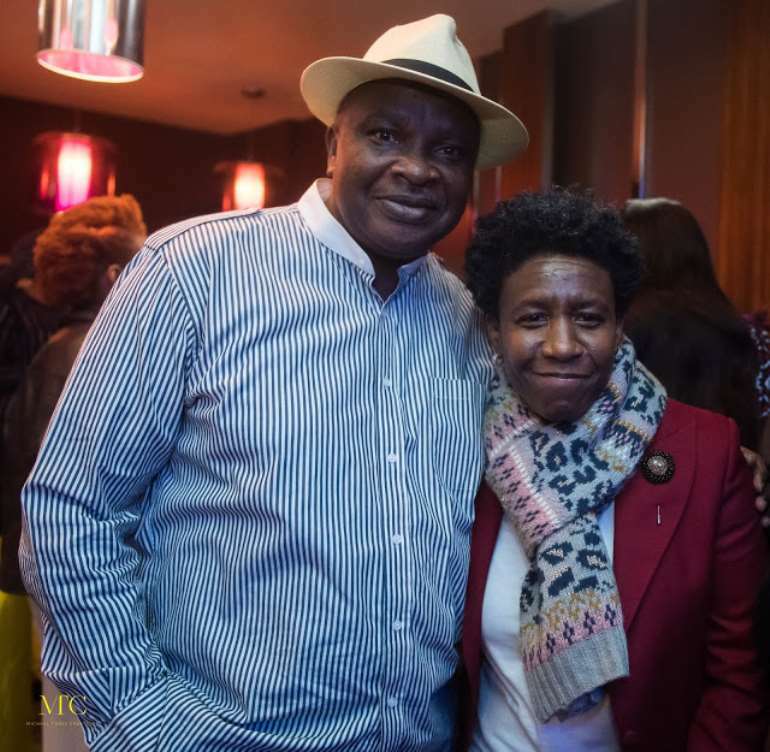 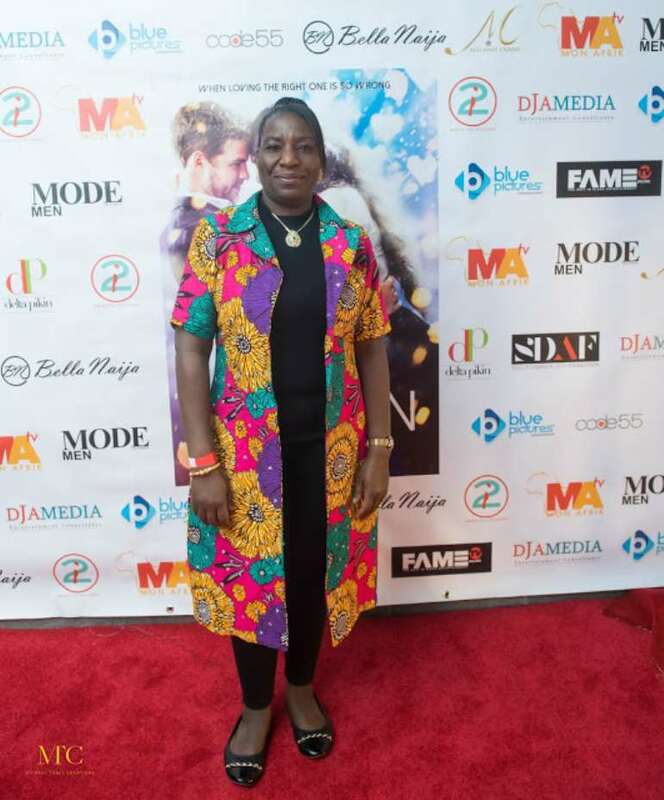 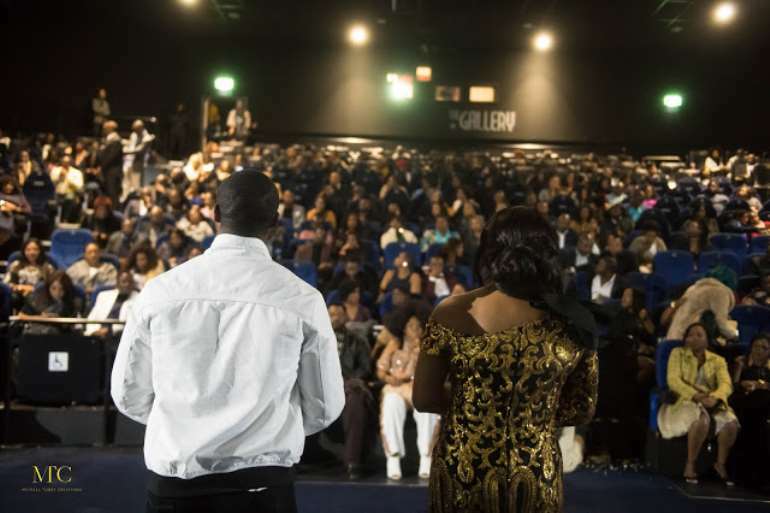 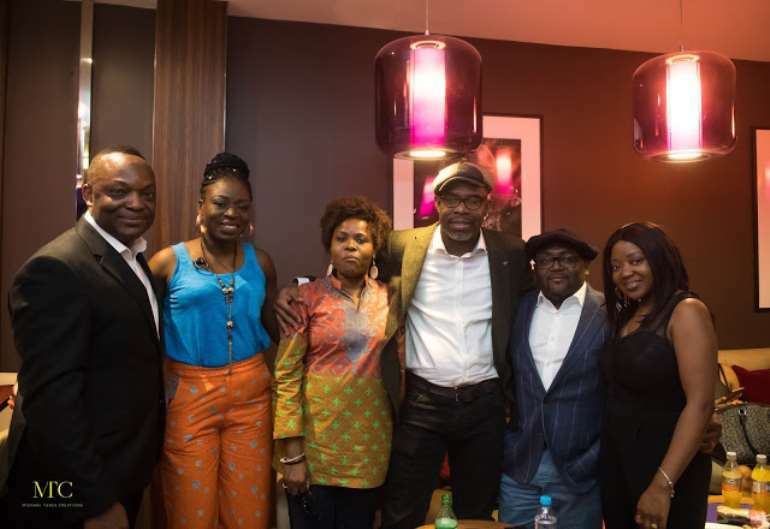 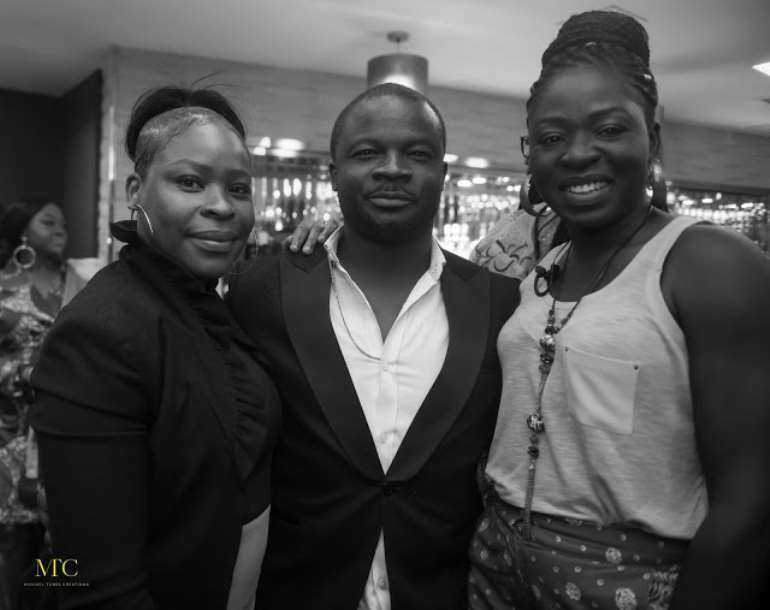 The London premiere was put together by DJAmedia . 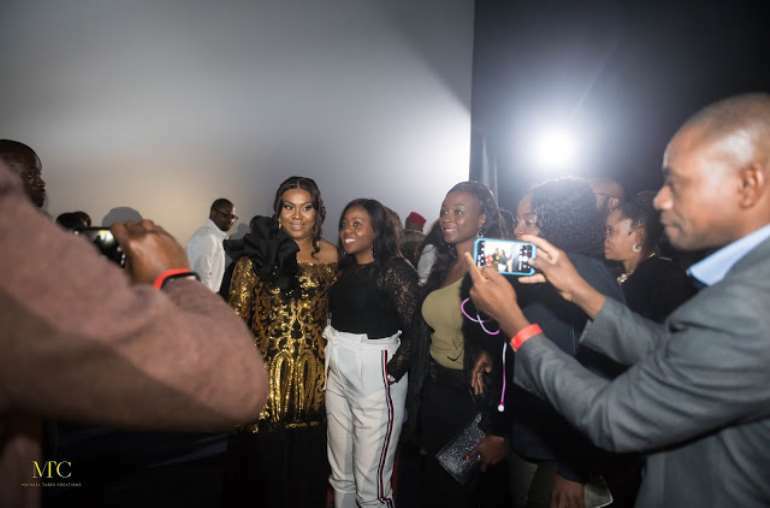 Photos by Michael Tubes.